UK warning signs 150 x 300 mm warning this door is alarm self adhesive vinyl labels. UK warning signs - 150 x 300 mm warning this door is alarmed self adhesive vinyl labels. UK warning signs 150 x 300 mm warning this door is alarm 1.2 mm rigid plastic signs. 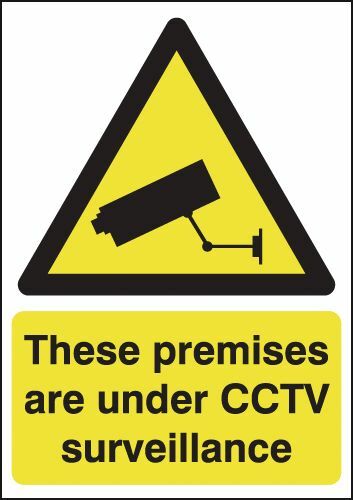 UK warning signs - 150 x 300 mm warning this door is alarmed 1.2 mm rigid plastic signs. UK warning signs 450 x 600 mm warning this door is alarm self adhesive vinyl labels. 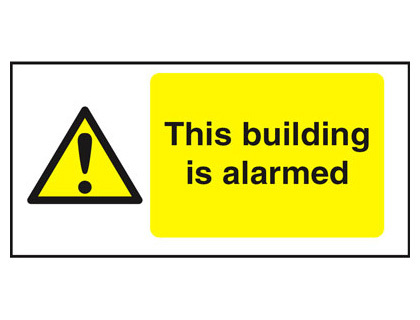 UK warning signs - 450 x 600 mm warning this door is alarmed self adhesive vinyl labels. UK warning signs 450 x 600 mm warning this door is alarm 1.2 mm rigid plastic signs. 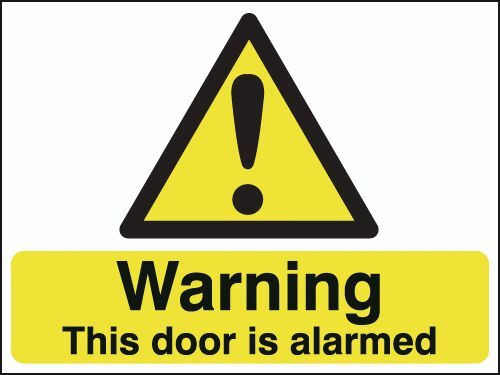 UK warning signs - 450 x 600 mm warning this door is alarmed 1.2 mm rigid plastic signs. UK warning signs 450 x 600 mm warning this door is alarm 1.2 mm rigid plastic signs with s/a backing. 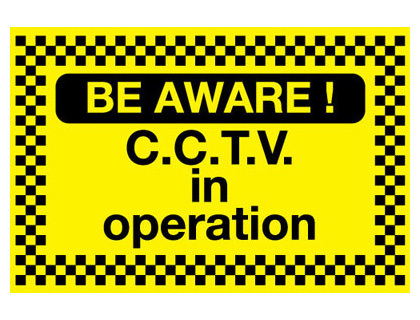 UK warning signs - 450 x 600 mm warning this door is alarmed 1.2 mm rigid plastic signs with self adhesive backing. 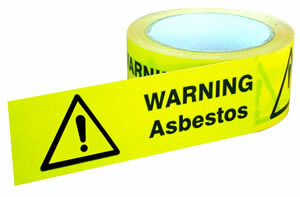 UK warning signs 100 x 250 mm warning asbestos self adhesive vinyl labels. 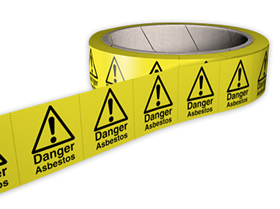 UK warning signs - 100 x 250 mm warning asbestos self adhesive vinyl labels. UK warning signs 100 x 250 mm warning contains asbestos self adhesive vinyl labels. UK warning signs - 100 x 250 mm warning contains asbestos self adhesive vinyl labels. UK warning signs 100 x 200 mm warning asbestos do not disturb self adhesive vinyl labels. 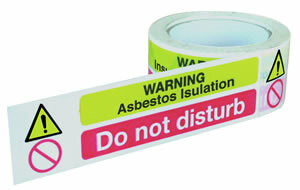 UK warning signs - 100 x 200 mm warning asbestos do not disturb self adhesive vinyl labels. UK warning signs 100 x 200 mm warning asbestos do not disturb 1.2 mm rigid plastic signs. UK warning signs - 100 x 200 mm warning asbestos do not disturb 1.2 mm rigid plastic signs. UK warning signs 100 x 250 mm warning contains asbestos 1.2 mm rigid plastic signs. UK warning signs - 100 x 250 mm warning contains asbestos 1.2 mm rigid plastic signs. UK warning signs 100 x 250 mm warning asbestos 1.2 mm rigid plastic signs. UK warning signs - 100 x 250 mm warning asbestos 1.2 mm rigid plastic signs. UK warning signs 400 x 300 mm warning asbestos self adhesive vinyl labels. UK warning signs - 400 x 300 mm warning asbestos self adhesive vinyl labels. UK warning signs 300 x 500 mm warning asbestos do not disturb self adhesive vinyl labels. UK warning signs - 300 x 500 mm warning asbestos do not disturb self adhesive vinyl labels. UK warning signs 400 x 300 mm warning asbestos 1.2 mm rigid plastic signs. UK warning signs - 400 x 300 mm warning asbestos 1.2 mm rigid plastic signs. 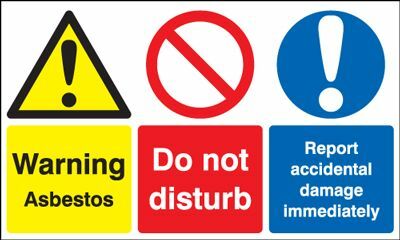 UK warning signs 100 x 200 mm warning asbestos do not disturb 1.2 mm rigid plastic signs with s/a backing. 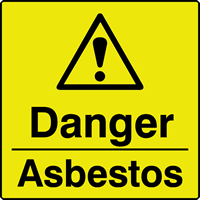 UK warning signs - 100 x 200 mm warning asbestos do not disturb 1.2 mm rigid plastic signs with self adhesive backing. UK warning signs 300 x 500 mm warning asbestos do not disturb 1.2 mm rigid plastic signs. UK warning signs - 300 x 500 mm warning asbestos do not disturb 1.2 mm rigid plastic signs. UK warning signs 400 x 300 mm warning asbestos 1.2 mm rigid plastic signs with s/a backing. 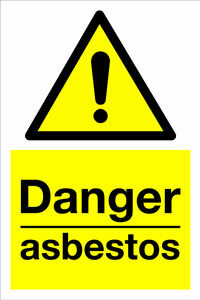 UK warning signs - 400 x 300 mm warning asbestos 1.2 mm rigid plastic signs with self adhesive backing. UK warning signs 300 x 500 mm warning asbestos do not disturb 1.2 mm rigid plastic signs with s/a backing. UK warning signs - 300 x 500 mm warning asbestos do not disturb 1.2 mm rigid plastic signs with self adhesive backing. UK warning signs 100 x 250 mm warning biohazard self adhesive vinyl labels. UK warning signs - 100 x 250 mm warning biohazard self adhesive vinyl labels. 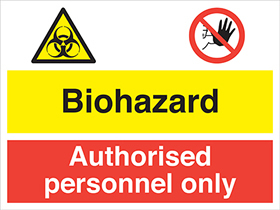 UK warning signs 100 x 250 mm warning biohazard 1.2 mm rigid plastic signs. UK warning signs - 100 x 250 mm warning biohazard 1.2 mm rigid plastic signs. UK warning signs 150 x 300 mm warning boiler room door to be self adhesive vinyl labels. 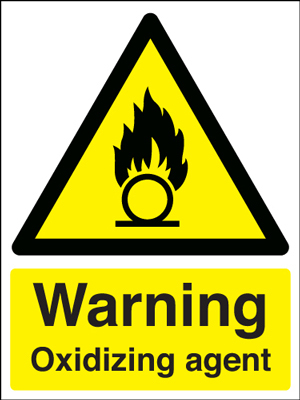 UK warning signs - 150 x 300 mm warning boiler room door to be self adhesive vinyl labels. 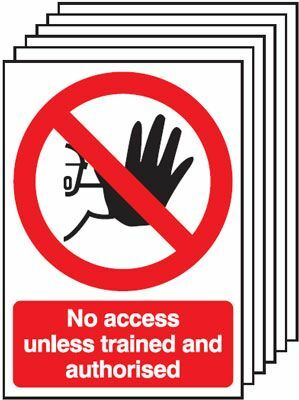 UK warning signs 150 x 300 mm warning boiler room door to be 1.2 mm rigid plastic signs. UK warning signs - 150 x 300 mm warning boiler room door to be 1.2 mm rigid plastic signs. UK warning signs 300 x 500 mm warning boiler room door to be self adhesive vinyl labels. UK warning signs - 300 x 500 mm warning boiler room door to be self adhesive vinyl labels. UK warning signs 300 x 500 mm warning boiler room door to be 1.2 mm rigid plastic signs. UK warning signs - 300 x 500 mm warning boiler room door to be 1.2 mm rigid plastic signs. UK warning signs 300 x 500 mm warning boiler room door to be 1.2 mm rigid plastic signs with s/a backing. UK warning signs - 300 x 500 mm warning boiler room door to be 1.2 mm rigid plastic signs with self adhesive backing. UK warning signs 100 x 250 mm warning caustic self adhesive vinyl labels. UK warning signs - 100 x 250 mm warning caustic self adhesive vinyl labels. UK warning signs 100 x 250 mm warning caustic 1.2 mm rigid plastic signs. 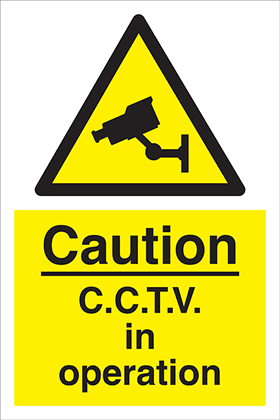 UK warning signs - 100 x 250 mm warning caustic 1.2 mm rigid plastic signs. UK warning signs 400 x 300 mm warning caustic self adhesive vinyl labels. UK warning signs - 400 x 300 mm warning caustic self adhesive vinyl labels. UK warning signs 300 x 600 mm warning caustic self adhesive vinyl labels. UK warning signs - 300 x 600 mm warning caustic self adhesive vinyl labels. UK warning signs 400 x 300 mm warning caustic 1.2 mm rigid plastic signs. UK warning signs - 400 x 300 mm warning caustic 1.2 mm rigid plastic signs. 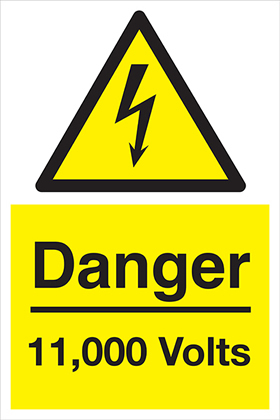 UK warning signs 100 x 250 mm warning caustic 1.2 mm rigid plastic signs with s/a backing. UK warning signs - 100 x 250 mm warning caustic 1.2 mm rigid plastic signs with self adhesive backing. 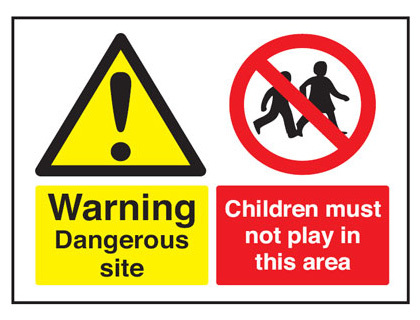 UK warning signs 300 x 600 mm warning caustic 1.2 mm rigid plastic signs. UK warning signs - 300 x 600 mm warning caustic 1.2 mm rigid plastic signs. 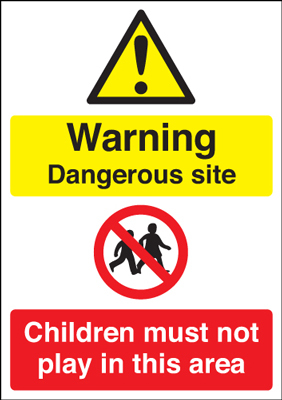 UK warning signs 400 x 300 mm warning caustic 1.2 mm rigid plastic signs with s/a backing. 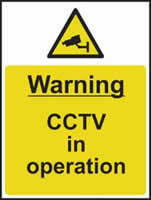 UK warning signs - 400 x 300 mm warning caustic 1.2 mm rigid plastic signs with self adhesive backing. 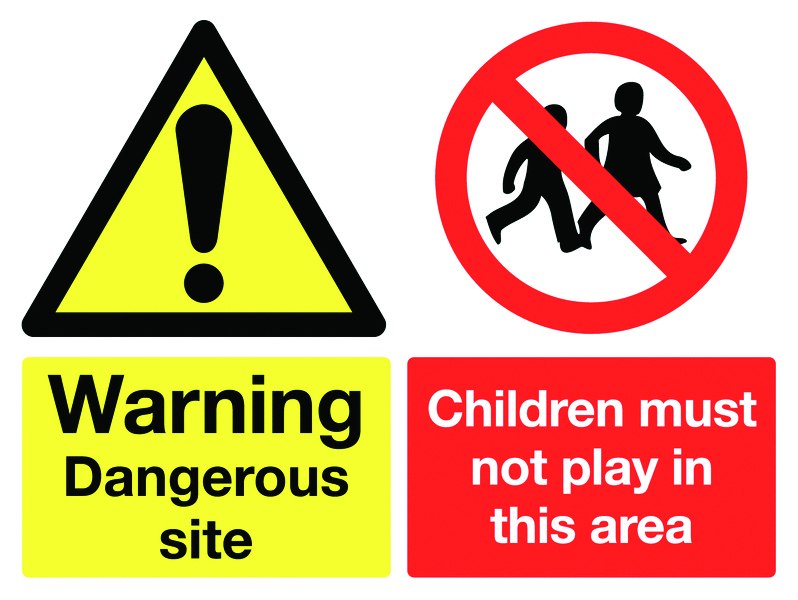 UK warning signs 300 x 600 mm warning caustic 1.2 mm rigid plastic signs with s/a backing. 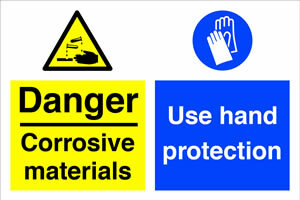 UK warning signs - 300 x 600 mm warning caustic 1.2 mm rigid plastic signs with self adhesive backing. 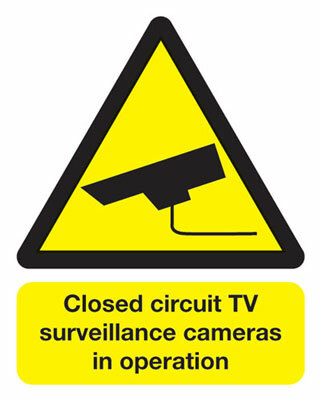 250 x 200 mm closed circuit TV surveillance self adhesive vinyl labels. 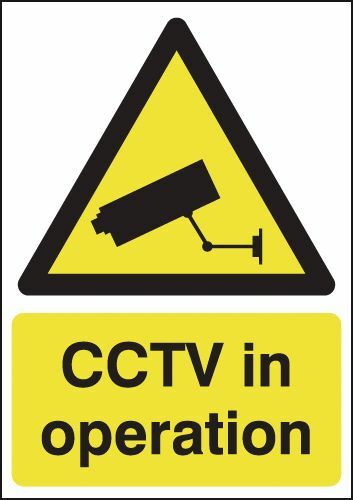 250 x 200 mm closed circuit TV surveillance 1.2 mm rigid plastic signs. 400 x 600 mm be aware! 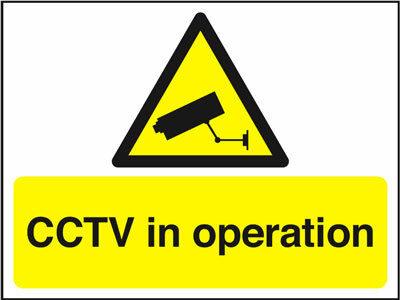 cctv in operation self adhesive vinyl labels. 400 x 600 mm be aware! 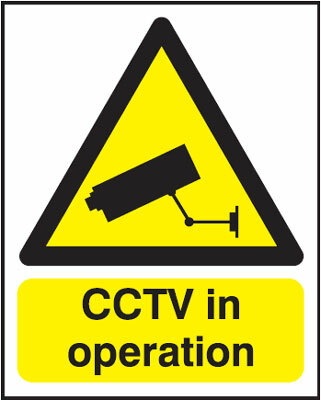 cctv in operation 1.2 mm rigid plastic signs. 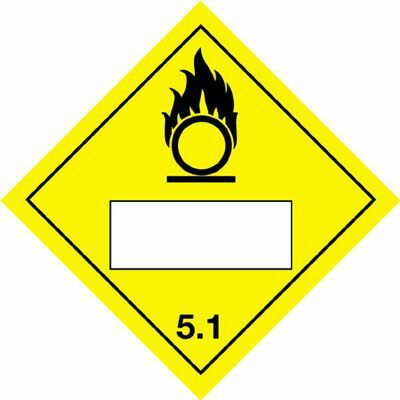 UK warning signs 50 x 100 mm warning harmful chemicals self adhesive vinyl labels. 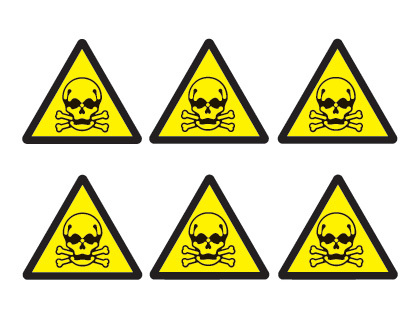 UK warning signs - 50 x 100 mm warning harmful chemicals self adhesive vinyl labels. 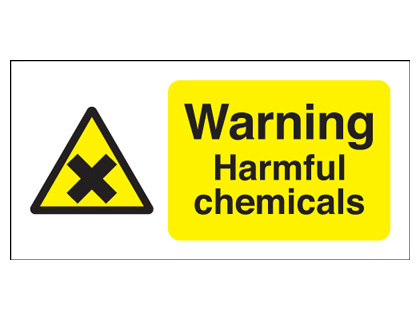 UK warning signs 100 x 250 mm warning harmful chemicals self adhesive vinyl labels. 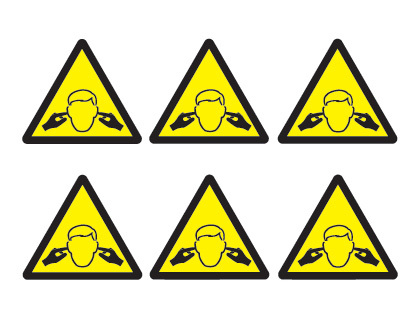 UK warning signs - 100 x 250 mm warning harmful chemicals self adhesive vinyl labels. UK warning signs 100 x 250 mm warning acid self adhesive vinyl labels. UK warning signs - 100 x 250 mm warning acid self adhesive vinyl labels. UK warning signs 100 x 250 mm warning ammonia self adhesive vinyl labels. 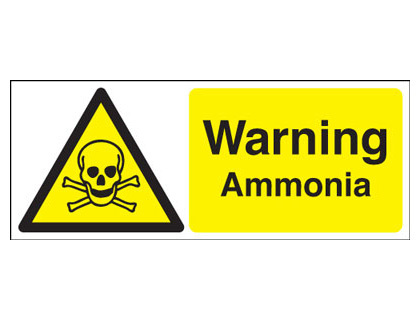 UK warning signs - 100 x 250 mm warning ammonia self adhesive vinyl labels. UK warning signs 50 x 100 mm warning harmful chemicals 1.2 mm rigid plastic signs. 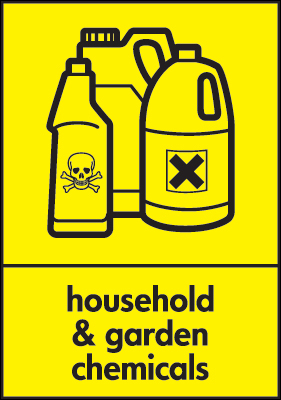 UK warning signs - 50 x 100 mm warning harmful chemicals 1.2 mm rigid plastic signs. 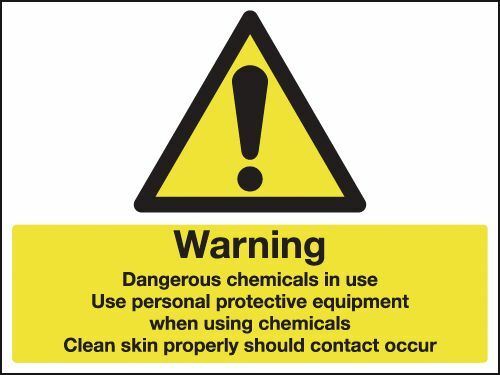 UK warning signs 100 x 250 mm warning chemical irritants self adhesive vinyl labels. 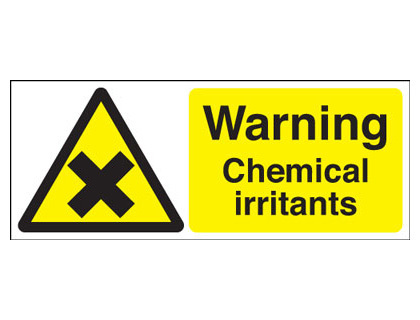 UK warning signs - 100 x 250 mm warning chemical irritants self adhesive vinyl labels. UK warning signs 100 x 250 mm warning ammonia 1.2 mm rigid plastic signs. UK warning signs - 100 x 250 mm warning ammonia 1.2 mm rigid plastic signs. UK warning signs 100 x 250 mm warning acid 1.2 mm rigid plastic signs. UK warning signs - 100 x 250 mm warning acid 1.2 mm rigid plastic signs. UK warning signs 400 x 300 mm warning acid self adhesive vinyl labels. UK warning signs - 400 x 300 mm warning acid self adhesive vinyl labels. 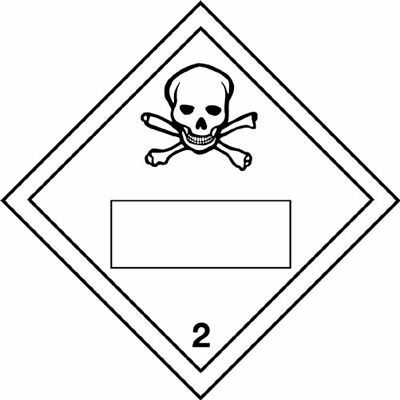 UK warning signs 100 x 250 mm warning harmful chemicals 1.2 mm rigid plastic signs. 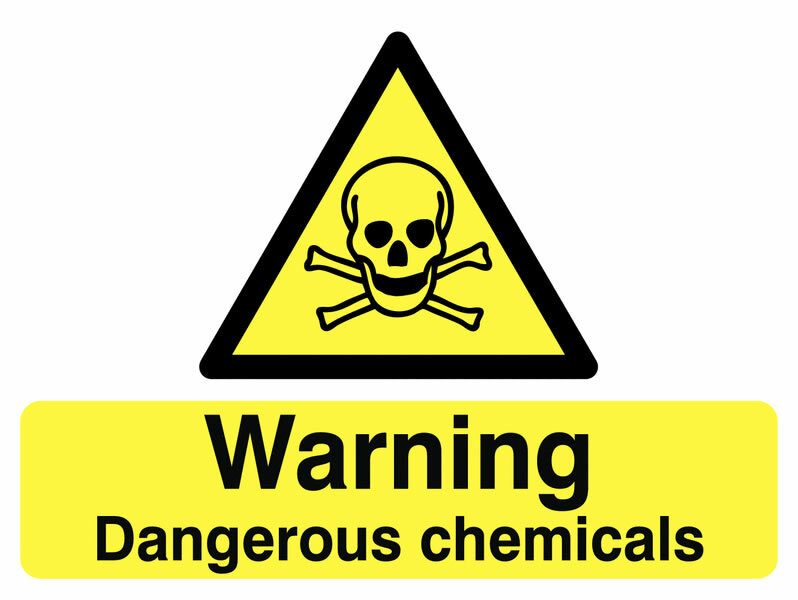 UK warning signs - 100 x 250 mm warning harmful chemicals 1.2 mm rigid plastic signs. 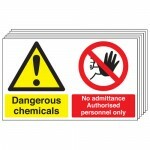 UK warning signs 100 x 250 mm warning chemical irritants 1.2 mm rigid plastic signs. 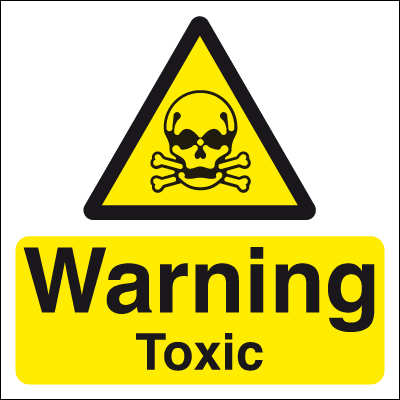 UK warning signs - 100 x 250 mm warning chemical irritants 1.2 mm rigid plastic signs. UK warning signs 400 x 300 mm warning hydrochloric acid self adhesive vinyl labels. 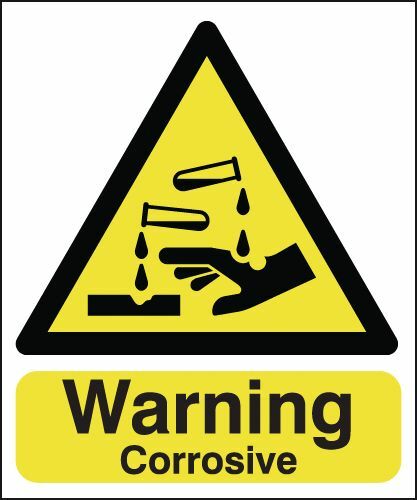 UK warning signs - 400 x 300 mm warning hydrochloric acid self adhesive vinyl labels. UK warning signs 400 x 300 mm warning acid 1.2 mm rigid plastic signs. UK warning signs - 400 x 300 mm warning acid 1.2 mm rigid plastic signs. 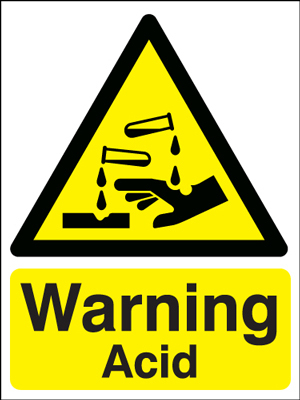 UK warning signs 400 x 300 mm warning hydrochloric acid 1.2 mm rigid plastic signs. 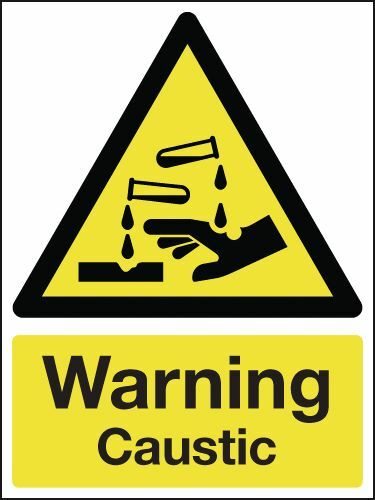 UK warning signs - 400 x 300 mm warning hydrochloric acid 1.2 mm rigid plastic signs. 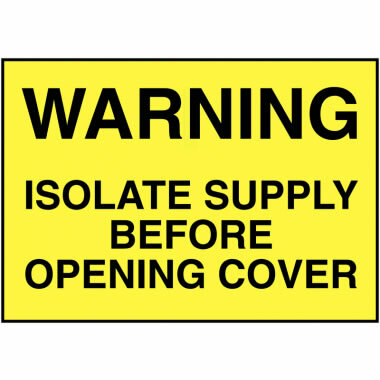 UK warning signs 100 x 200 mm warning confined space self adhesive vinyl labels. 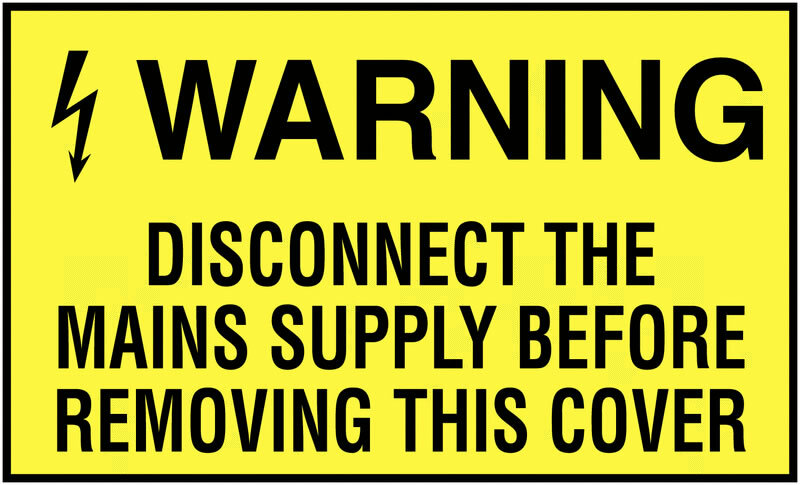 UK warning signs - 100 x 200 mm warning confined space self adhesive vinyl labels. 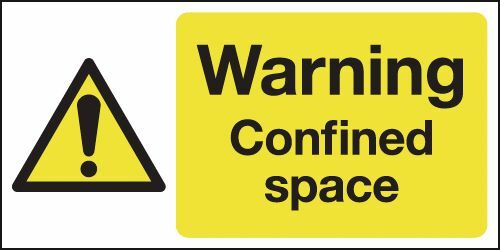 UK warning signs 100 x 200 mm warning confined space 1.2 mm rigid plastic signs. 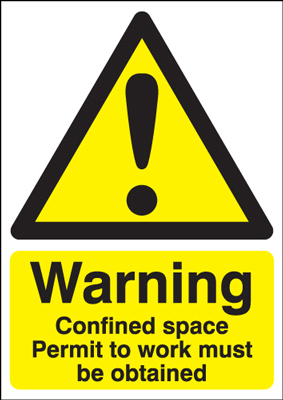 UK warning signs - 100 x 200 mm warning confined space 1.2 mm rigid plastic signs. A2 warning confined space permit to work 1.2 mm rigid plastic signs. A5 warning construction site no self adhesive vinyl labels. 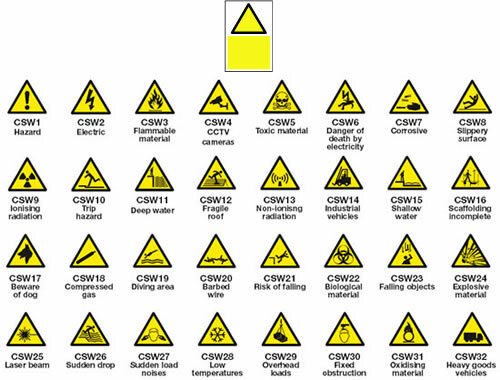 UK warning signs 100 x 200 mm warning this site is under 24 self adhesive vinyl labels. 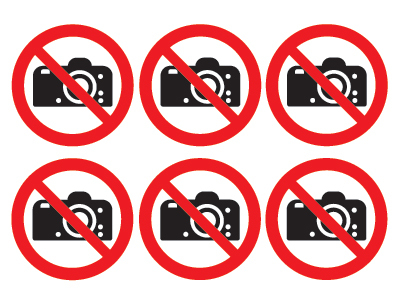 UK warning signs - 100 x 200 mm warning this site is under 24 self adhesive vinyl labels. 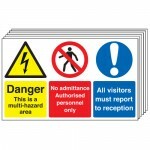 UK warning signs 100 x 200 mm warning this site is under 24 1.2 mm rigid plastic signs. 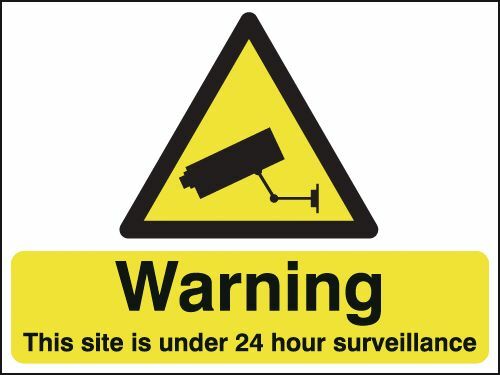 UK warning signs - 100 x 200 mm warning this site is under 24 1.2 mm rigid plastic signs. 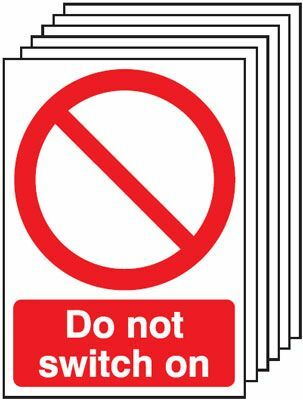 UK warning signs 150 x 300 mm warning this site is under 24 self adhesive vinyl labels. 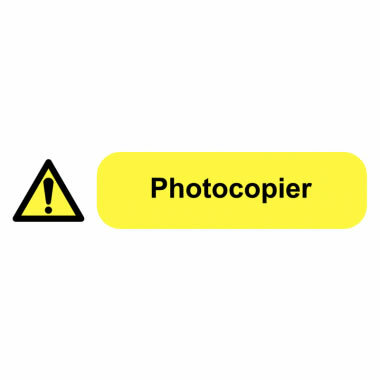 UK warning signs - 150 x 300 mm warning this site is under 24 self adhesive vinyl labels. A5 warning construction site no 1.2 mm rigid plastic signs. UK warning signs 400 x 300 mm warning site entrance self adhesive vinyl labels. UK warning signs - 400 x 300 mm warning site entrance self adhesive vinyl labels. 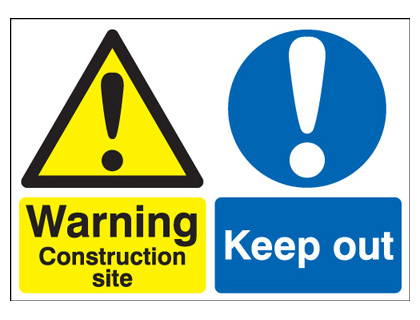 UK warning signs 400 x 300 mm warning construction site keep self adhesive vinyl labels. 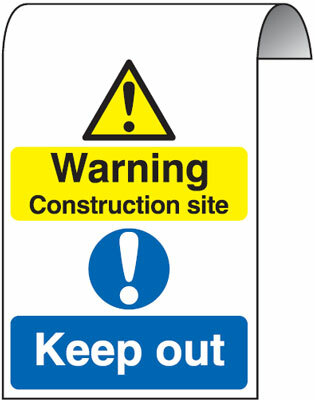 UK warning signs - 400 x 300 mm warning construction site keep self adhesive vinyl labels. 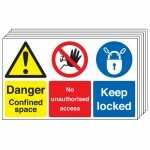 UK warning signs 150 x 300 mm warning this site is under 24 1.2 mm rigid plastic signs. 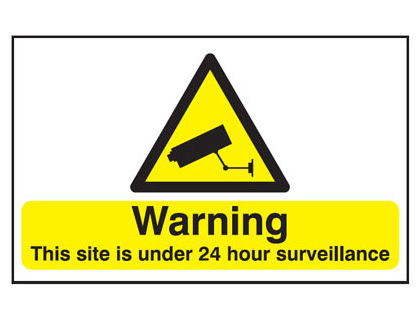 UK warning signs - 150 x 300 mm warning this site is under 24 1.2 mm rigid plastic signs. 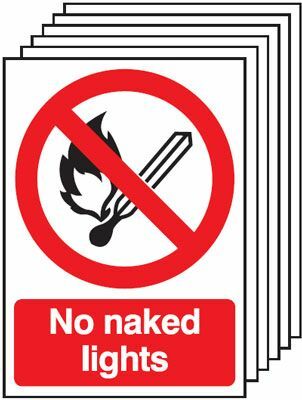 UK warning signs 400 x 300 mm warning construction site do not self adhesive vinyl labels. UK warning signs - 400 x 300 mm warning construction site do not self adhesive vinyl labels. 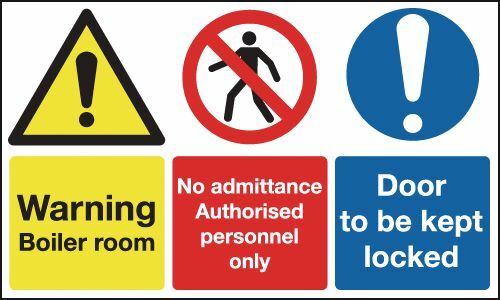 UK warning signs 400 x 300 mm warning construction site no self adhesive vinyl labels. 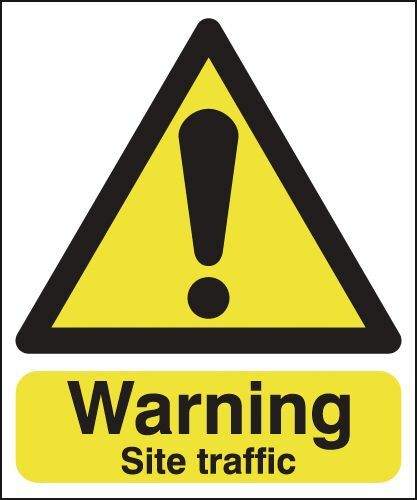 UK warning signs - 400 x 300 mm warning construction site no self adhesive vinyl labels. 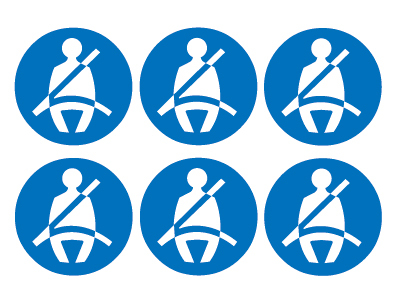 UK warning signs 400 x 300 mm warning site traffic self adhesive vinyl labels. UK warning signs - 400 x 300 mm warning site traffic self adhesive vinyl labels. A4 warning construction site no self adhesive vinyl labels. 400 x 300 mm warning construction site no self adhesive vinyl labels. UK warning signs 100 x 200 mm warning this site is under 24 1.2 mm rigid plastic signs with s/a backing. UK warning signs - 100 x 200 mm warning this site is under 24 1.2 mm rigid plastic signs with self adhesive backing. UK warning signs 400 x 300 mm warning site entrance 1.2 mm rigid plastic signs. UK warning signs - 400 x 300 mm warning site entrance 1.2 mm rigid plastic signs. 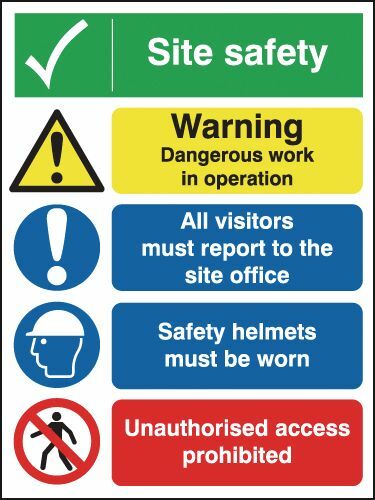 UK warning signs 400 x 300 mm warning construction site keep 1.2 mm rigid plastic signs. 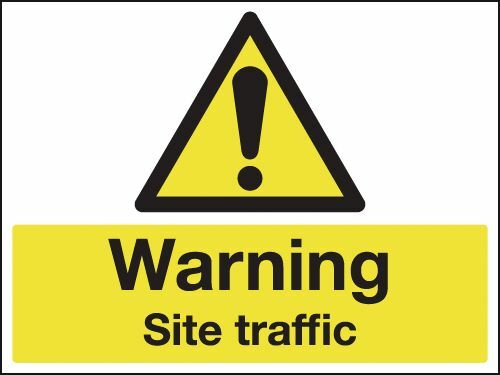 UK warning signs - 400 x 300 mm warning construction site keep 1.2 mm rigid plastic signs. 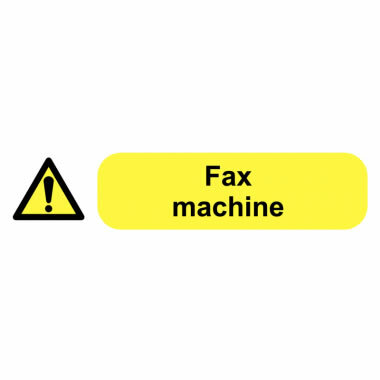 UK warning signs 300 x 500 mm warning this site is under 24 self adhesive vinyl labels. 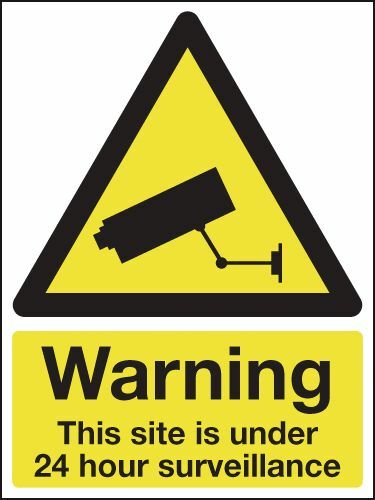 UK warning signs - 300 x 500 mm warning this site is under 24 self adhesive vinyl labels. A4 warning construction site no 1.2 mm rigid plastic signs. UK warning signs 400 x 300 mm warning construction site no 1.2 mm rigid plastic signs. 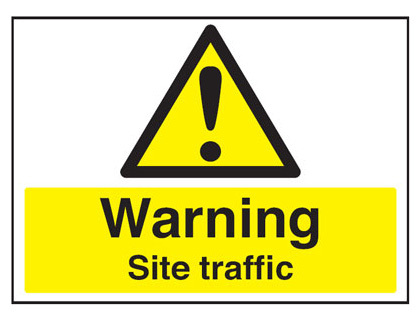 UK warning signs - 400 x 300 mm warning construction site no 1.2 mm rigid plastic signs. UK warning signs 400 x 300 mm warning site traffic 1.2 mm rigid plastic signs. UK warning signs - 400 x 300 mm warning site traffic 1.2 mm rigid plastic signs. 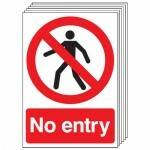 UK warning signs 400 x 300 mm warning construction site do not 1.2 mm rigid plastic signs. 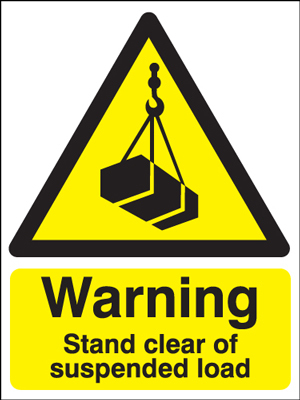 UK warning signs - 400 x 300 mm warning construction site do not 1.2 mm rigid plastic signs. UK warning signs 300 x 500 mm warning this site is under 24 1.2 mm rigid plastic signs. 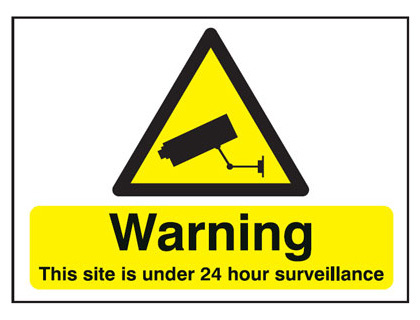 UK warning signs - 300 x 500 mm warning this site is under 24 1.2 mm rigid plastic signs. 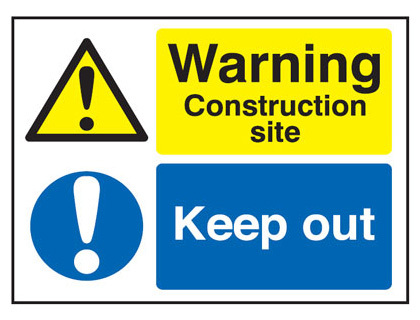 UK warning signs 600 x 450 mm warning construction site no self adhesive vinyl labels. 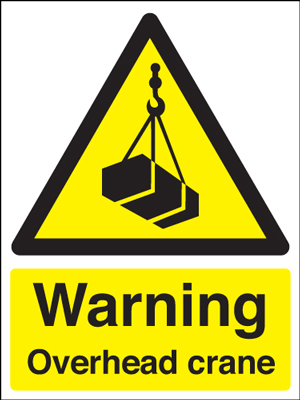 UK warning signs - 600 x 450 mm warning construction site no self adhesive vinyl labels. 400 x 300 mm warning construction site no 1.2 mm rigid plastic signs. 400 x 300 mm warning construction site do not 1.2 mm rigid plastic signs. 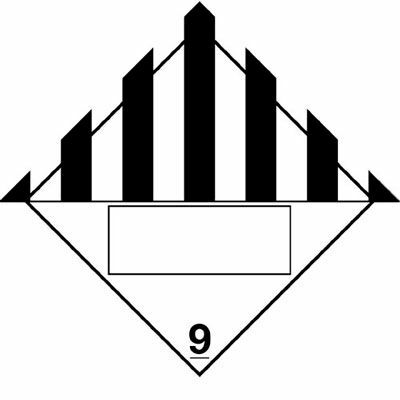 UK warning signs 800 x 600 mm warning this site is under 24 self adhesive vinyl labels. 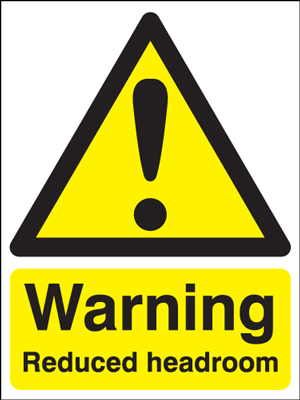 UK warning signs - 800 x 600 mm warning this site is under 24 self adhesive vinyl labels. 600 x 450 mm warning construction site no self adhesive vinyl labels. UK warning signs 800 x 600 mm warning construction site do not self adhesive vinyl labels. 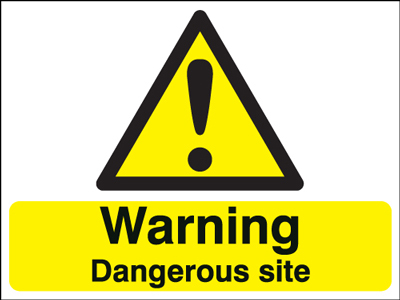 UK warning signs - 800 x 600 mm warning construction site do not self adhesive vinyl labels. 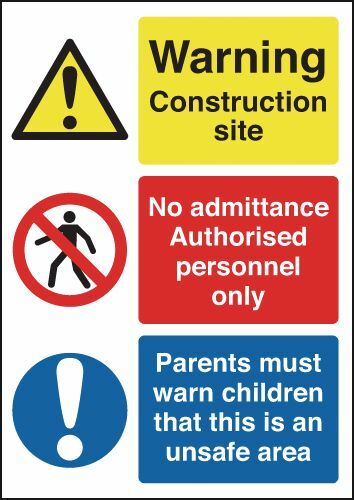 UK warning signs 600 x 450 mm warning construction site no 1.2 mm rigid plastic signs. 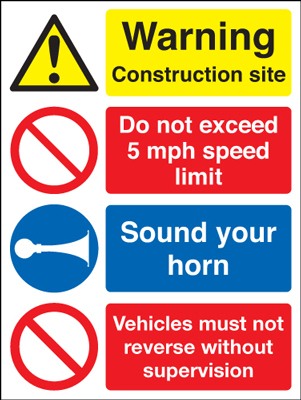 UK warning signs - 600 x 450 mm warning construction site no 1.2 mm rigid plastic signs. 500 x 300 mm warning construction site keep 2 mm dibond brushed steel effect sign. 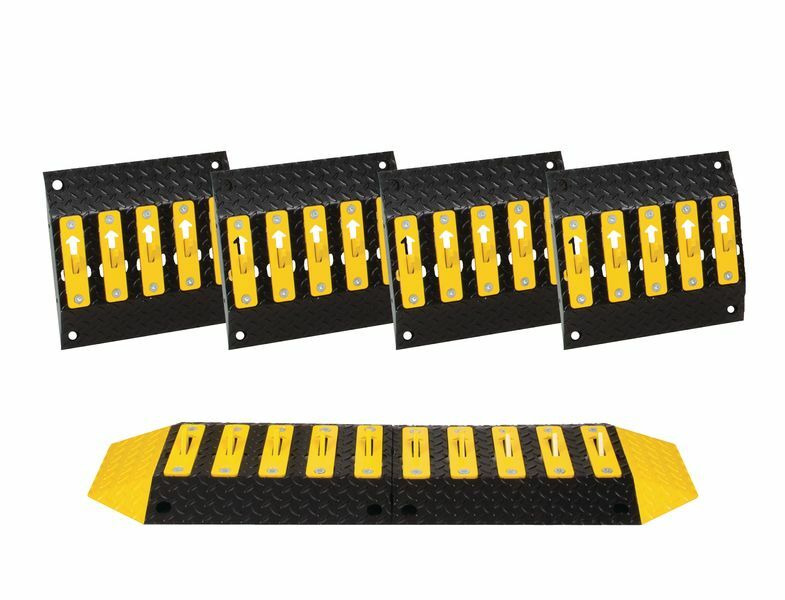 UK warning signs 800 x 600 mm warning this site is under 24 1.2 mm rigid plastic signs. UK warning signs - 800 x 600 mm warning this site is under 24 1.2 mm rigid plastic signs. 600 x 450 mm warning construction site no 1.2 mm rigid plastic signs. UK warning signs 800 x 600 mm warning construction site do not 1.2 mm rigid plastic signs. 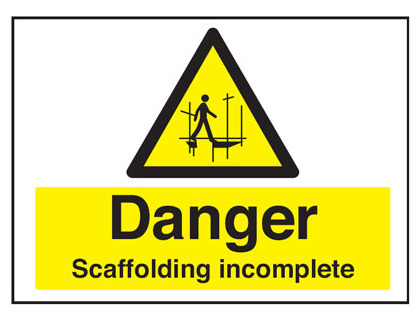 UK warning signs - 800 x 600 mm warning construction site do not 1.2 mm rigid plastic signs. 800 x 600 mm warning construction site do not 1.2 mm rigid plastic signs. UK warning signs 150 x 125 mm warning corrosive self adhesive vinyl labels. UK warning signs - 150 x 125 mm warning corrosive self adhesive vinyl labels. UK warning signs 100 x 250 mm warning corrosive self adhesive vinyl labels. UK warning signs - 100 x 250 mm warning corrosive self adhesive vinyl labels. 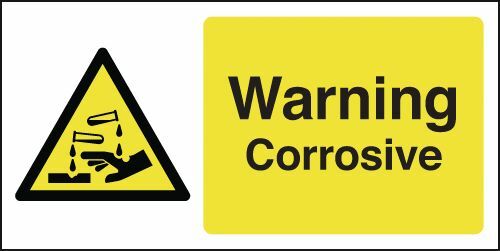 UK warning signs 150 x 125 mm warning corrosive 1.2 mm rigid plastic signs. 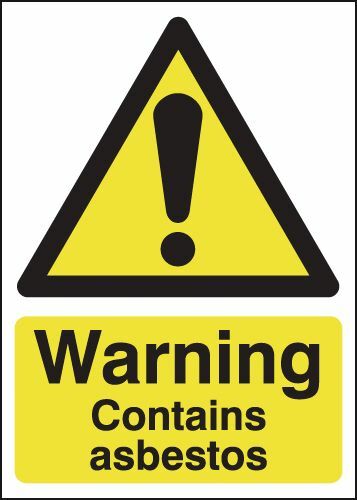 UK warning signs - 150 x 125 mm warning corrosive 1.2 mm rigid plastic signs. UK warning signs 150 x 300 mm warning corrosive self adhesive vinyl labels. UK warning signs - 150 x 300 mm warning corrosive self adhesive vinyl labels. UK warning signs 300 x 250 mm warning corrosive self adhesive vinyl labels. UK warning signs - 300 x 250 mm warning corrosive self adhesive vinyl labels. UK warning signs 150 x 300 mm warning corrosive 1.2 mm rigid plastic signs. UK warning signs - 150 x 300 mm warning corrosive 1.2 mm rigid plastic signs. UK warning signs 400 x 300 mm warning corrosive self adhesive vinyl labels. UK warning signs - 400 x 300 mm warning corrosive self adhesive vinyl labels. 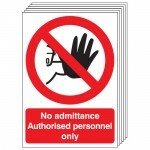 UK warning signs 150 x 125 mm warning corrosive 1.2 mm rigid plastic signs with s/a backing. UK warning signs - 150 x 125 mm warning corrosive 1.2 mm rigid plastic signs with self adhesive backing. UK warning signs 300 x 250 mm warning corrosive 1.2 mm rigid plastic signs. UK warning signs - 300 x 250 mm warning corrosive 1.2 mm rigid plastic signs. UK warning signs 400 x 300 mm warning corrosive 1.2 mm rigid plastic signs. UK warning signs - 400 x 300 mm warning corrosive 1.2 mm rigid plastic signs. UK warning signs 100 x 250 mm warning corrosive 1.2 mm rigid plastic signs with s/a backing. UK warning signs - 100 x 250 mm warning corrosive 1.2 mm rigid plastic signs with self adhesive backing. UK warning signs 300 x 250 mm warning corrosive 1.2 mm rigid plastic signs with s/a backing. UK warning signs - 300 x 250 mm warning corrosive 1.2 mm rigid plastic signs with self adhesive backing. UK warning signs 400 x 300 mm warning corrosive 1.2 mm rigid plastic signs with s/a backing. UK warning signs - 400 x 300 mm warning corrosive 1.2 mm rigid plastic signs with self adhesive backing. UK warning signs 100 x 250 mm warning drop self adhesive vinyl labels. UK warning signs - 100 x 250 mm warning drop self adhesive vinyl labels. UK warning signs 150 x 300 mm warning sudden drop self adhesive vinyl labels. UK warning signs - 150 x 300 mm warning sudden drop self adhesive vinyl labels. UK warning signs 100 x 250 mm warning drop 1.2 mm rigid plastic signs. UK warning signs - 100 x 250 mm warning drop 1.2 mm rigid plastic signs. UK warning signs 200 x 400 mm warning sudden drop self adhesive vinyl labels. UK warning signs - 200 x 400 mm warning sudden drop self adhesive vinyl labels. 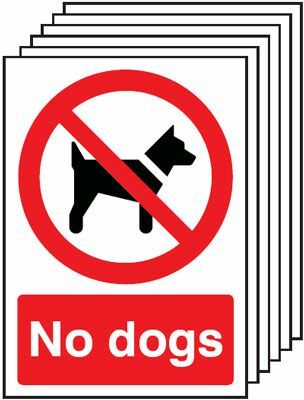 UK warning signs 150 x 300 mm warning sudden drop 1.2 mm rigid plastic signs. UK warning signs - 150 x 300 mm warning sudden drop 1.2 mm rigid plastic signs. UK warning signs 400 x 300 mm warning sudden drop self adhesive vinyl labels. UK warning signs - 400 x 300 mm warning sudden drop self adhesive vinyl labels. UK warning signs 400 x 300 mm warning drop self adhesive vinyl labels. UK warning signs - 400 x 300 mm warning drop self adhesive vinyl labels. UK warning signs 100 x 250 mm warning sudden drop 1.2 mm rigid plastic signs. UK warning signs - 100 x 250 mm warning sudden drop 1.2 mm rigid plastic signs. 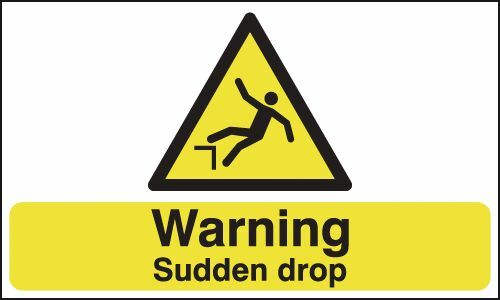 UK warning signs 200 x 400 mm warning sudden drop 1.2 mm rigid plastic signs. UK warning signs - 200 x 400 mm warning sudden drop 1.2 mm rigid plastic signs. UK warning signs 300 x 500 mm warning sudden drop self adhesive vinyl labels. UK warning signs - 300 x 500 mm warning sudden drop self adhesive vinyl labels. 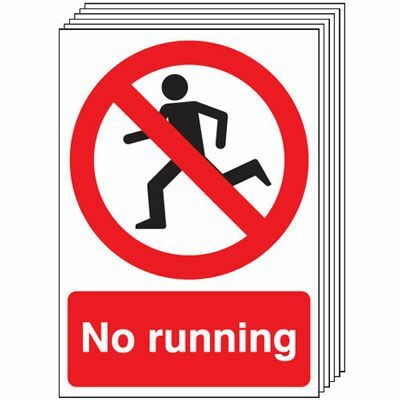 UK warning signs 200 x 400 mm warning sudden drop 1.2 mm rigid plastic signs with s/a backing. UK warning signs - 200 x 400 mm warning sudden drop 1.2 mm rigid plastic signs with self adhesive backing. 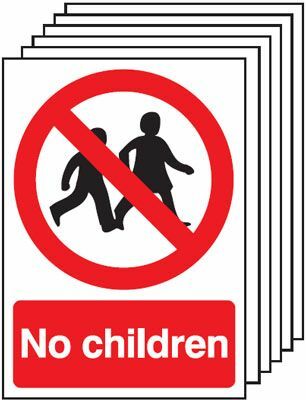 UK warning signs 400 x 300 mm warning sudden drop 1.2 mm rigid plastic signs. 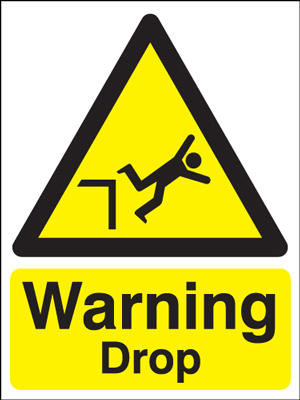 UK warning signs - 400 x 300 mm warning sudden drop 1.2 mm rigid plastic signs. UK warning signs 400 x 300 mm warning drop 1.2 mm rigid plastic signs. UK warning signs - 400 x 300 mm warning drop 1.2 mm rigid plastic signs. UK warning signs 300 x 500 mm warning sudden drop 1.2 mm rigid plastic signs. UK warning signs - 300 x 500 mm warning sudden drop 1.2 mm rigid plastic signs. 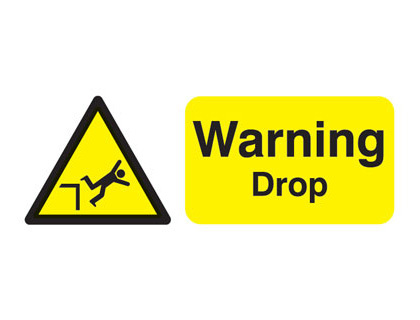 UK warning signs 100 x 250 mm warning sudden drop 1.2 mm rigid plastic signs with s/a backing. UK warning signs - 100 x 250 mm warning sudden drop 1.2 mm rigid plastic signs with self adhesive backing. UK warning signs 150 x 300 mm warning sudden drop 1.2 mm rigid plastic signs with s/a backing. UK warning signs - 150 x 300 mm warning sudden drop 1.2 mm rigid plastic signs with self adhesive backing. UK warning signs 400 x 300 mm warning sudden drop 1.2 mm rigid plastic signs with s/a backing. UK warning signs - 400 x 300 mm warning sudden drop 1.2 mm rigid plastic signs with self adhesive backing. UK warning signs 300 x 500 mm warning sudden drop 1.2 mm rigid plastic signs with s/a backing. UK warning signs - 300 x 500 mm warning sudden drop 1.2 mm rigid plastic signs with self adhesive backing. 70 x 50 emergency stop push button self adhesive vinyl labels. 70 x 50 emergency stop push button 1.2 mm rigid plastic signs. 125 x 125 mm emergency stop push button self adhesive vinyl labels. 70 x 50 emergency stop push button 1.2 mm rigid plastic signs with s/a backing. 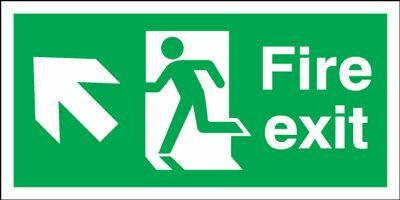 70 x 50 emergency stop push button 1.2 mm rigid plastic signs with self adhesive backing. 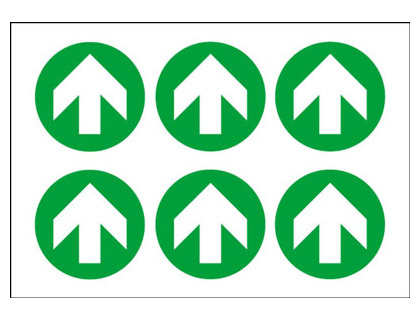 100 x 200 mm emergency stop push button self adhesive vinyl labels. A5 emergency stop push button self adhesive vinyl labels. 125 x 125 mm emergency stop push button 1.2 mm rigid plastic signs. 100 x 250 mm emergency stop push button self adhesive vinyl labels. 100 x 200 mm emergency stop push button 1.2 mm rigid plastic signs. 200 x 200 mm emergency stop push button self adhesive vinyl labels. 250 x 200 mm emergency stop push button self adhesive vinyl labels. A5 emergency stop push button 1.2 mm rigid plastic signs. 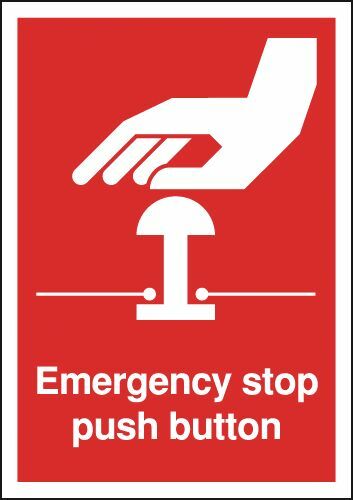 125 x 125 mm emergency stop push button 1.2 mm rigid plastic signs with s/a backing. 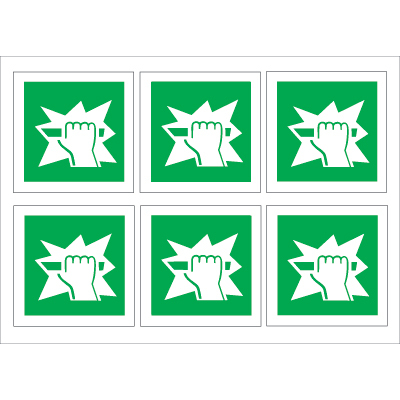 125 x 125 mm emergency stop push button 1.2 mm rigid plastic signs with self adhesive backing. 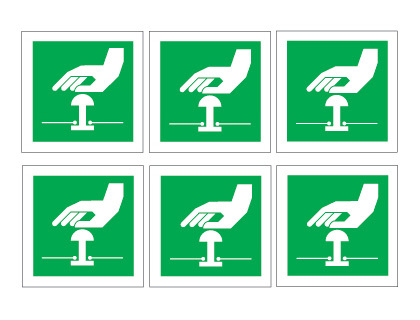 100 x 250 mm emergency stop push button 1.2 mm rigid plastic signs. 200 x 200 mm emergency stop push button 1.2 mm rigid plastic signs. 100 x 200 mm emergency stop push button 1.2 mm rigid plastic signs with s/a backing. 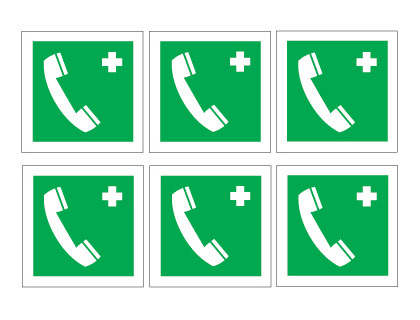 100 x 200 mm emergency stop push button 1.2 mm rigid plastic signs with self adhesive backing. 250 x 200 mm emergency stop push button 1.2 mm rigid plastic signs. A4 emergency stop push button self adhesive vinyl labels. A3 emergency stop push button self adhesive vinyl labels. 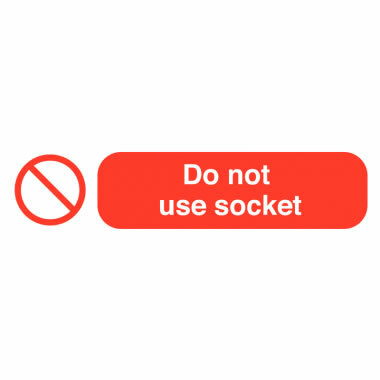 200 x 200 mm emergency stop push button 1.2 mm rigid plastic signs with s/a backing. 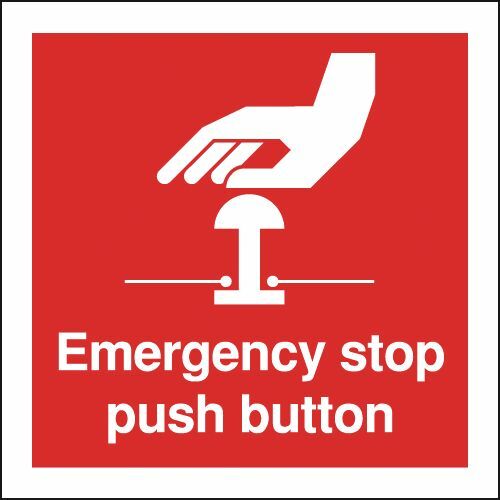 200 x 200 mm emergency stop push button 1.2 mm rigid plastic signs with self adhesive backing. A5 emergency stop push button 1.2 mm rigid plastic signs with s/a backing. A5 emergency stop push button 1.2 mm rigid plastic signs with self adhesive backing. 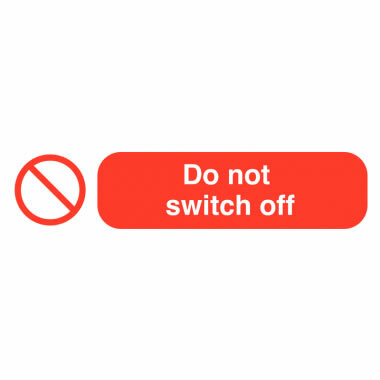 250 x 200 mm emergency stop push button 1.2 mm rigid plastic signs with s/a backing. 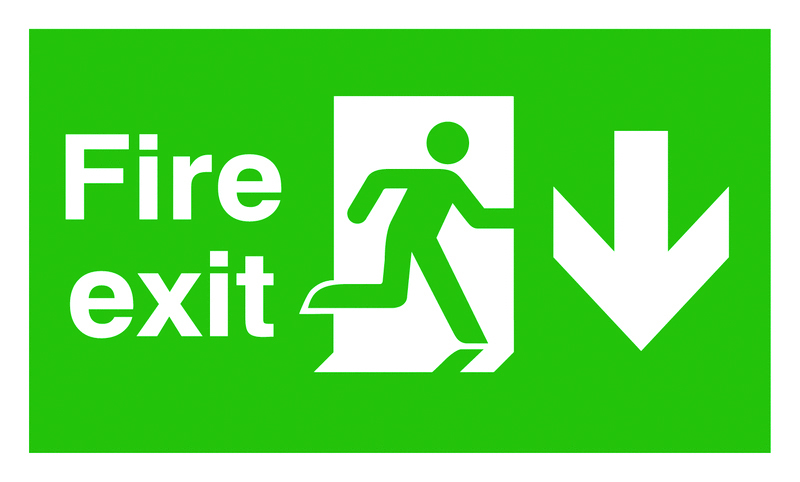 250 x 200 mm emergency stop push button 1.2 mm rigid plastic signs with self adhesive backing. A4 emergency stop push button 1.2 mm rigid plastic signs. A3 emergency stop push button 1.2 mm rigid plastic signs. A2 emergency stop push button self adhesive vinyl labels. A2 emergency stop push button 1.2 mm rigid plastic signs. A1 emergency stop push button self adhesive vinyl labels. A3 emergency stop push button 1.2 mm rigid plastic signs with s/a backing. 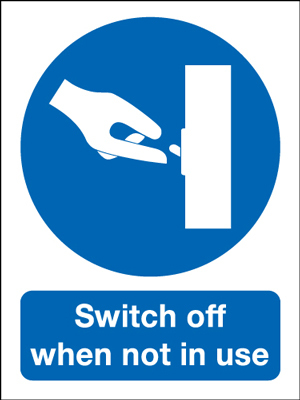 A3 emergency stop push button 1.2 mm rigid plastic signs with self adhesive backing. A2 emergency stop push button 1.2 mm rigid plastic signs with s/a backing. A2 emergency stop push button 1.2 mm rigid plastic signs with self adhesive backing. A1 emergency stop push button 1.2 mm rigid plastic signs. A1 emergency stop push button 1.2 mm rigid plastic signs with s/a backing. A1 emergency stop push button 1.2 mm rigid plastic signs with self adhesive backing. A4 emergency stop push button 1.2 mm rigid plastic signs with s/a backing. 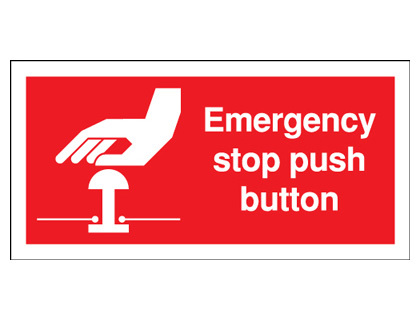 A4 emergency stop push button 1.2 mm rigid plastic signs with self adhesive backing. UK warning signs 400 x 300 mm warning deep excavations self adhesive vinyl labels. UK warning signs - 400 x 300 mm warning deep excavations self adhesive vinyl labels. UK warning signs 400 x 300 mm warning deep excavations 1.2 mm rigid plastic signs. 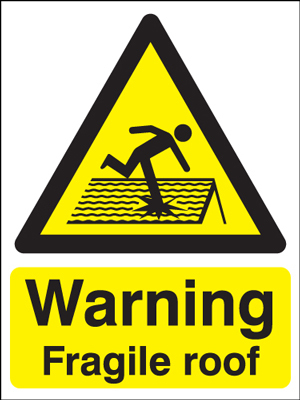 UK warning signs - 400 x 300 mm warning deep excavations 1.2 mm rigid plastic signs. UK warning signs 400 x 300 mm warning falling objects self adhesive vinyl labels. 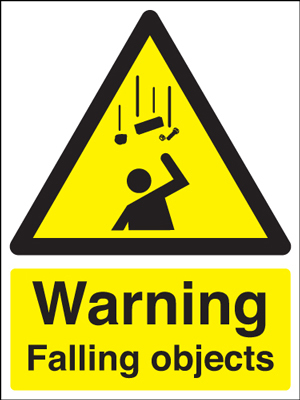 UK warning signs - 400 x 300 mm warning falling objects self adhesive vinyl labels. 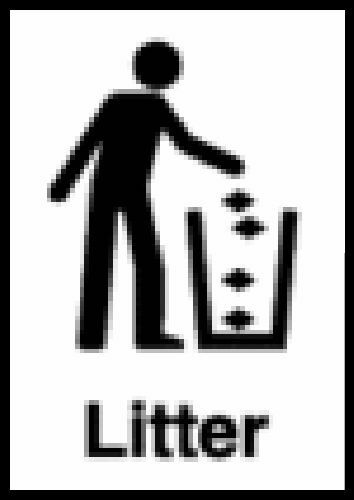 UK warning signs 400 x 300 mm warning falling objects 1.2 mm rigid plastic signs. 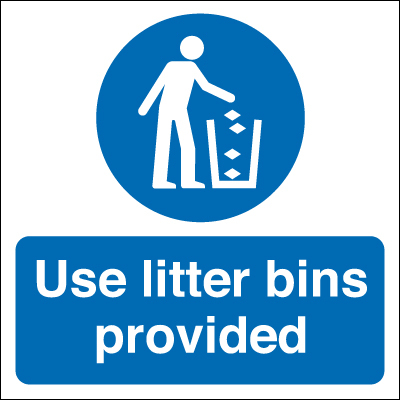 UK warning signs - 400 x 300 mm warning falling objects 1.2 mm rigid plastic signs. 500 x 300 mm warning falling objects 2 mm dibond brushed steel effect sign. 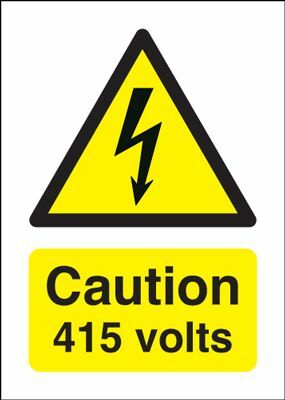 UK warning signs 400 x 300 mm warning electric fence self adhesive vinyl labels. 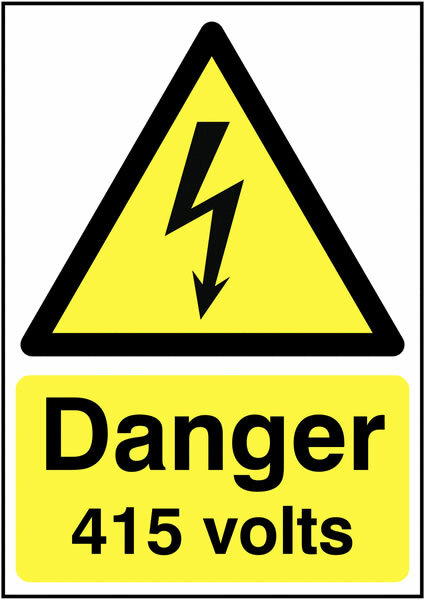 UK warning signs - 400 x 300 mm warning electric fence self adhesive vinyl labels. 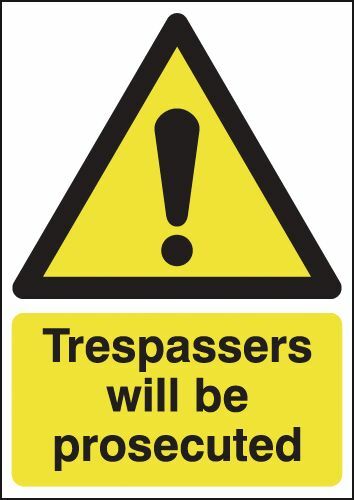 UK warning signs 400 x 300 mm warning electric fence 1.2 mm rigid plastic signs. UK warning signs - 400 x 300 mm warning electric fence 1.2 mm rigid plastic signs. 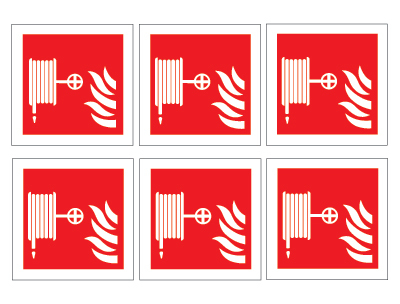 UK warning signs 400 x 300 mm warning fire risk self adhesive vinyl labels. UK warning signs - 400 x 300 mm warning fire risk self adhesive vinyl labels. 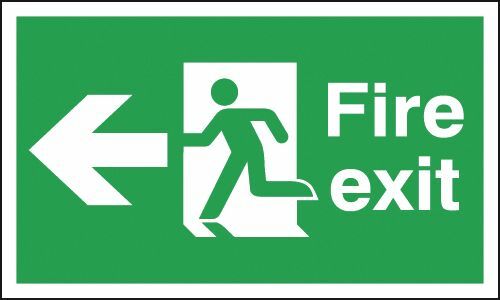 UK warning signs 400 x 300 mm warning fire risk 1.2 mm rigid plastic signs. 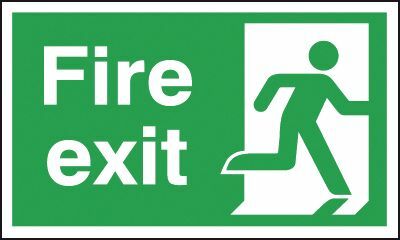 UK warning signs - 400 x 300 mm warning fire risk 1.2 mm rigid plastic signs. 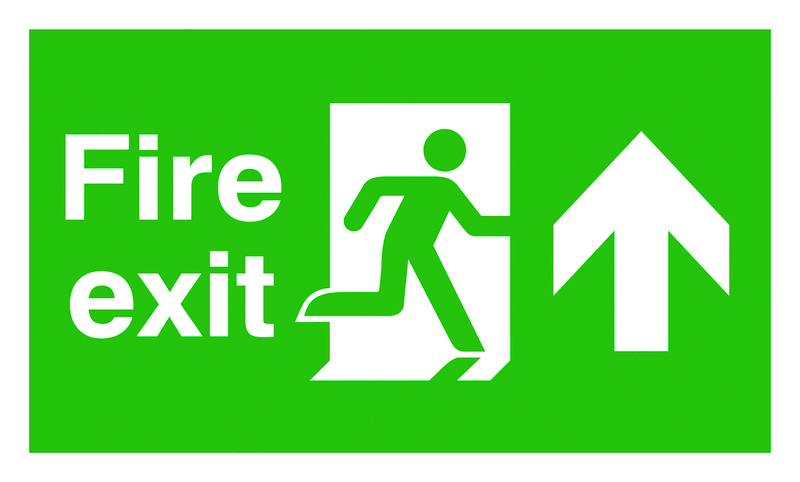 UK warning signs 400 x 300 mm warning fire risk 1.2 mm rigid plastic signs with s/a backing. 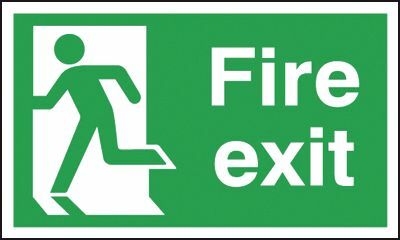 UK warning signs - 400 x 300 mm warning fire risk 1.2 mm rigid plastic signs with self adhesive backing. UK fork lift signs A5warning fork lift trucks 1.2 mm rigid plastic signs. UK fork lift signs - A5 warning fork lift trucks 1.2 mm rigid plastic signs. UK fork lift sign Stainless Steel 100 x 250 mm warning fork lift trucks 1.2 mm rigid plastic signs. UK fork lift signss - 100 x 250 mm warning fork lift trucks 1.2 mm rigid plastic signs. UK fork lift signs A4 warning fork lift trucks 1.2 mm rigid plastic signs. UK fork lift signs - A4 warning fork lift trucks 1.2 mm rigid plastic signs. UK fork lift sign Stainless Steel 400 x 300 mm warning fork lift trucks 1.2 mm rigid plastic signs. UK fork lift signss - 400 x 300 mm warning fork lift trucks 1.2 mm rigid plastic signs. UK fork lift signs A3 warning fork lift trucks 1.2 mm rigid plastic signs. 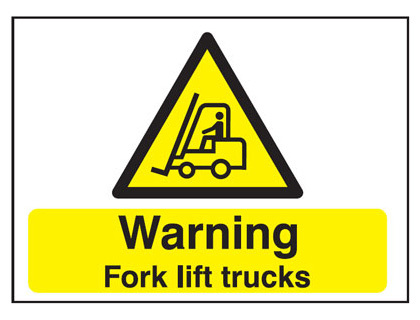 UK fork lift signs - A3 warning fork lift trucks 1.2 mm rigid plastic signs. UK fork lift signs A5warning fork lift trucks 1.2 mm rigid plastic signs with s/a backing. UK fork lift signs - A5 warning fork lift trucks 1.2 mm rigid plastic signs with self adhesive backing. UK fork lift sign Stainless Steel 300 x 600 mm warning fork lift trucks 1.2 mm rigid plastic signs. UK fork lift signss - 300 x 600 mm warning fork lift trucks 1.2 mm rigid plastic signs. 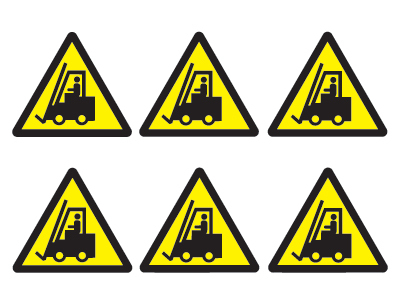 UK fork lift signs A2 420 x 598 mm warning fork lift trucks 1.2 mm rigid plastic signs. 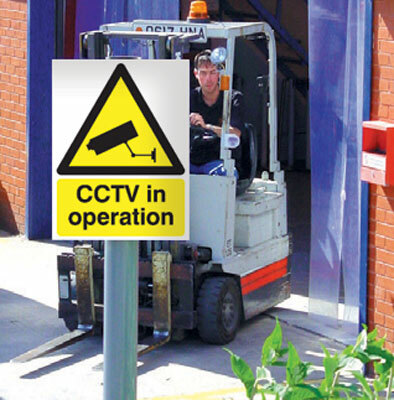 UK fork lift signs - A2 warning fork lift trucks 1.2 mm rigid plastic signs. UK fork lift sign Stainless Steel 300 x 900 mm warning fork lift trucks 1.2 mm rigid plastic signs. UK fork lift signss - 300 x 900 mm warning fork lift trucks 1.2 mm rigid plastic signs. UK fork lift sign Stainless Steel 400 x 600 mm warning fork lift trucks 1.2 mm rigid plastic signs. UK fork lift signss - 400 x 600 mm warning fork lift trucks 1.2 mm rigid plastic signs. UK fork lift sign Stainless Steel 600 x 450 mm warning fork lift trucks 1.2 mm rigid plastic signs. UK fork lift signss - 600 x 450 mm warning fork lift trucks 1.2 mm rigid plastic signs. UK fork lift sign Stainless Steel 400 x 300 mm warning fork lift trucks 1.2 mm rigid plastic signs with s/a backing. 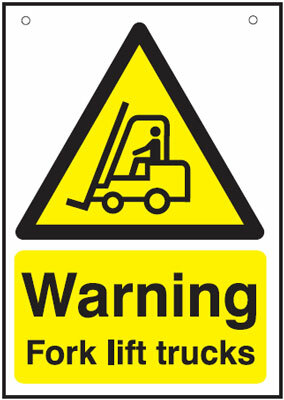 UK fork lift signss - 400 x 300 mm warning fork lift trucks 1.2 mm rigid plastic signs with self adhesive backing. UK fork lift sign Stainless Steel 800 x 600 mm warning fork lift trucks 1.2 mm rigid plastic signs. UK fork lift signss - 800 x 600 mm warning fork lift trucks 1.2 mm rigid plastic signs. UK fork lift sign Stainless Steel 300 x 600 mm warning fork lift trucks 1.2 mm rigid plastic signs with s/a backing. UK fork lift signss - 300 x 600 mm warning fork lift trucks 1.2 mm rigid plastic signs with self adhesive backing. UK fork lift signs A1 warning fork lift trucks 1.2 mm rigid plastic signs. 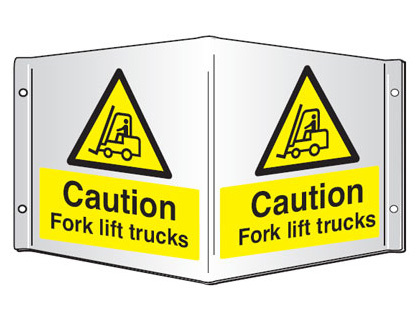 UK fork lift signs - A1 warning fork lift trucks 1.2 mm rigid plastic signs. UK fork lift signs A3 warning fork lift trucks 1.2 mm rigid plastic signs with s/a backing. UK fork lift signs - A3 warning fork lift trucks 1.2 mm rigid plastic signs with self adhesive backing. UK fork lift signs A2 420 x 598 mm warning fork lift trucks 1.2 mm rigid plastic signs with s/a backing. UK fork lift signs - A2 warning fork lift trucks 1.2 mm rigid plastic signs with self adhesive backing. UK fork lift sign Stainless Steel 300 x 900 mm warning fork lift trucks 1.2 mm rigid plastic signs with s/a backing. 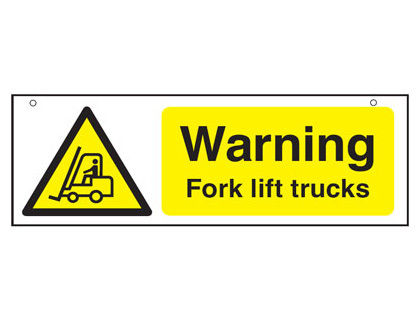 UK fork lift signss - 300 x 900 mm warning fork lift trucks 1.2 mm rigid plastic signs with self adhesive backing. UK fork lift sign Stainless Steel 600 x 450 mm warning fork lift trucks 1.2 mm rigid plastic signs with s/a backing. UK fork lift signss - 600 x 450 mm warning fork lift trucks 1.2 mm rigid plastic signs with self adhesive backing. 400 x 300 mm warning fork lift trucks 3mm foam board signs. 400 x 300 mm warning fork lift trucks 3 mm foam board signs. UK fork lift sign Stainless Steel 400 x 600 mm warning fork lift trucks 1.2 mm rigid plastic signs with s/a backing. 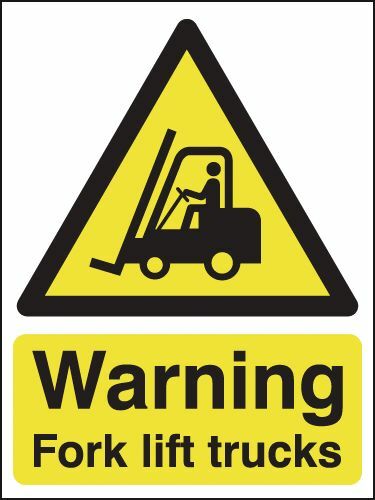 UK fork lift signss - 400 x 600 mm warning fork lift trucks 1.2 mm rigid plastic signs with self adhesive backing. UK fork lift signs A1 warning fork lift trucks 1.2 mm rigid plastic signs with s/a backing. 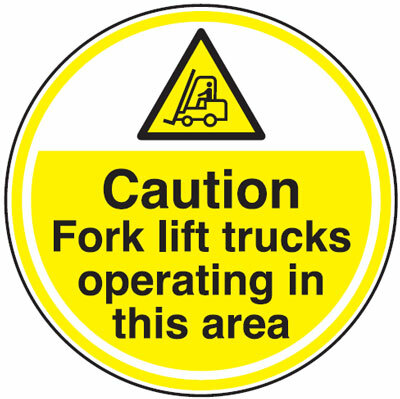 UK fork lift signs - A1 warning fork lift trucks 1.2 mm rigid plastic signs with self adhesive backing. UK fork lift sign Stainless Steel 800 x 600 mm warning fork lift trucks 1.2 mm rigid plastic signs with s/a backing. 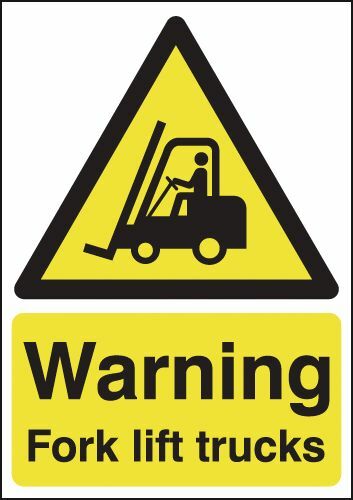 UK fork lift signss - 800 x 600 mm warning fork lift trucks 1.2 mm rigid plastic signs with self adhesive backing. 300 x 900 mm warning fork lift trucks 3mm foam board signs. 300 x 900 mm warning fork lift trucks 3 mm foam board signs. UK fork lift signs A4 warning fork lift trucks 1.2 mm rigid plastic signs with s/a backing. 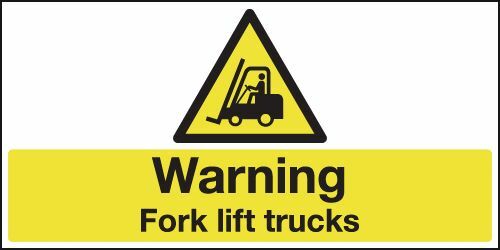 UK fork lift signs - A4 warning fork lift trucks 1.2 mm rigid plastic signs with self adhesive backing. UK warning signs 150 x 300 mm warning fragile roof self adhesive vinyl labels. UK warning signs - 150 x 300 mm warning fragile roof self adhesive vinyl labels. UK warning signs 150 x 300 mm warning fragile roof 1.2 mm rigid plastic signs. 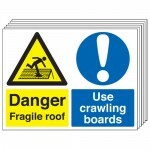 UK warning signs - 150 x 300 mm warning fragile roof 1.2 mm rigid plastic signs. UK warning signs 400 x 300 mm warning fragile roof self adhesive vinyl labels. UK warning signs - 400 x 300 mm warning fragile roof self adhesive vinyl labels. UK warning signs 300 x 500 mm warning fragile roof self adhesive vinyl labels. UK warning signs - 300 x 500 mm warning fragile roof self adhesive vinyl labels. UK warning signs 300 x 500 mm warning fragile roof 1.2 mm rigid plastic signs. UK warning signs - 300 x 500 mm warning fragile roof 1.2 mm rigid plastic signs. UK warning signs 600 x 450 mm warning fragile roof self adhesive vinyl labels. UK warning signs - 600 x 450 mm warning fragile roof self adhesive vinyl labels. UK warning signs 400 x 300 mm warning fragile roof 1.2 mm rigid plastic signs. UK warning signs - 400 x 300 mm warning fragile roof 1.2 mm rigid plastic signs. UK warning signs 150 x 300 mm warning fragile roof 1.2 mm rigid plastic signs with s/a backing. UK warning signs - 150 x 300 mm warning fragile roof 1.2 mm rigid plastic signs with self adhesive backing. UK warning signs 600 x 450 mm warning fragile roof 1.2 mm rigid plastic signs. UK warning signs - 600 x 450 mm warning fragile roof 1.2 mm rigid plastic signs. 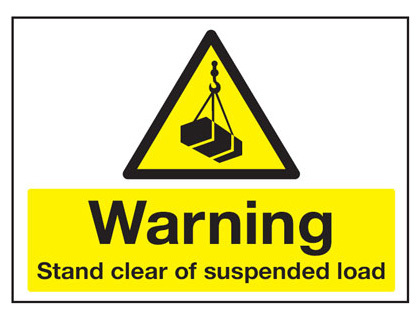 UK warning signs 400 x 300 mm warning fragile roof 1.2 mm rigid plastic signs with s/a backing. 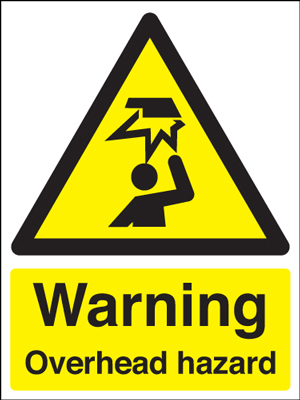 UK warning signs - 400 x 300 mm warning fragile roof 1.2 mm rigid plastic signs with self adhesive backing. UK warning signs 300 x 500 mm warning fragile roof 1.2 mm rigid plastic signs with s/a backing. 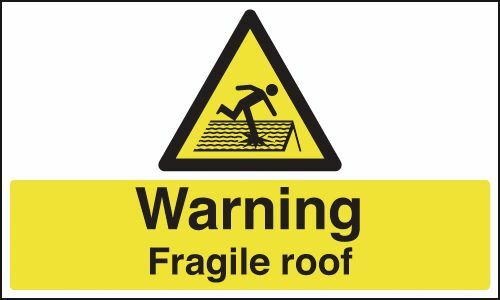 UK warning signs - 300 x 500 mm warning fragile roof 1.2 mm rigid plastic signs with self adhesive backing. UK warning signs 300 x 250 mm warning mind your hands self adhesive vinyl labels. UK warning signs - 300 x 250 mm warning mIndustrial your hands self adhesive vinyl labels. UK warning signs 300 x 250 mm warning mind your hands 1.2 mm rigid plastic signs. UK warning signs - 300 x 250 mm warning mIndustrial your hands 1.2 mm rigid plastic signs. UK warning signs 300 x 250 mm warning mind your hands 1.2 mm rigid plastic signs with s/a backing. 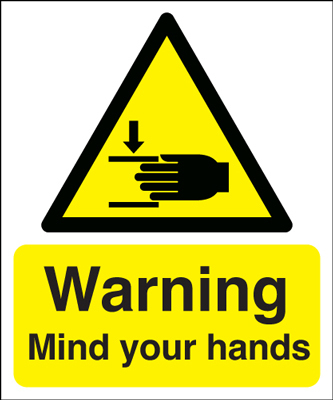 UK warning signs - 300 x 250 mm warning mIndustrial your hands 1.2 mm rigid plastic signs with self adhesive backing. A5 warning this is a multi hazard area 1.2 mm rigid plastic signs with s/a backing. A5 warning this is a multi hazard area 1.2 mm rigid plastic signs with self adhesive backing. A3 warning this is a multi hazard area 1.2 mm rigid plastic signs with s/a backing. A3 warning this is a multi hazard area 1.2 mm rigid plastic signs with self adhesive backing. A2 warning this is a multi hazard area 1.2 mm rigid plastic signs with s/a backing. A2 warning this is a multi hazard area 1.2 mm rigid plastic signs with self adhesive backing. A4 warning this is a multi hazard area 1.2 mm rigid plastic signs with s/a backing. A4 warning this is a multi hazard area 1.2 mm rigid plastic signs with self adhesive backing. UK warning signs 100 x 75 mm warning lives may depend on this self adhesive vinyl labels. UK warning signs - 100 x 75 mm warning lives may depend on this self adhesive vinyl labels. 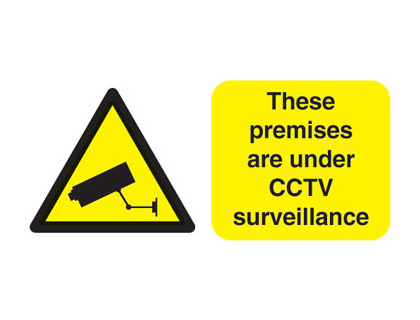 UK warning signs 100 x 75 mm warning lives may depend on this 1.2 mm rigid plastic signs. 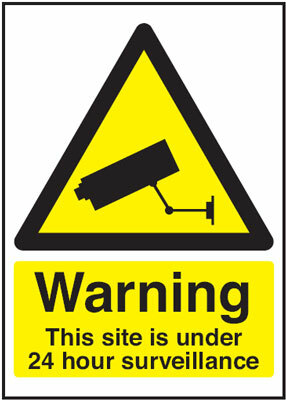 UK warning signs - 100 x 75 mm warning lives may depend on this 1.2 mm rigid plastic signs. UK warning signs 100 x 75 mm warning lives may depend on this 1.2 mm rigid plastic signs with s/a backing. UK warning signs - 100 x 75 mm warning lives may depend on this 1.2 mm rigid plastic signs with self adhesive backing. 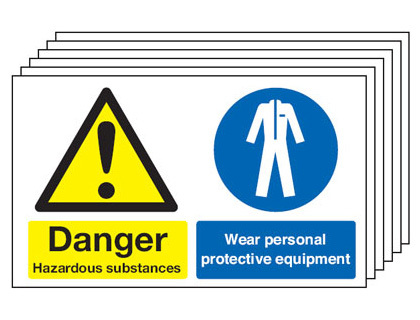 UK warning signs 150 x 300 mm warning hazardous self adhesive vinyl labels. UK warning signs - 150 x 300 mm warning hazardous self adhesive vinyl labels. 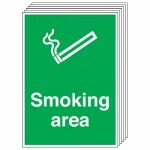 UK warning signs 150 x 300 mm warning hazardous 1.2 mm rigid plastic signs. UK warning signs - 150 x 300 mm warning hazardous 1.2 mm rigid plastic signs. UK warning signs 400 x 300 mm warning hazardous self adhesive vinyl labels. UK warning signs - 400 x 300 mm warning hazardous self adhesive vinyl labels. UK warning signs 400 x 300 mm warning hazardous 1.2 mm rigid plastic signs. UK warning signs - 400 x 300 mm warning hazardous 1.2 mm rigid plastic signs. 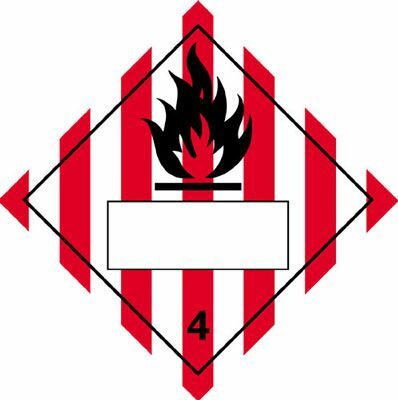 A2 warning hazardous self adhesive vinyl labels. UK warning signs 450 x 600 mm warning hazardous self adhesive vinyl labels. 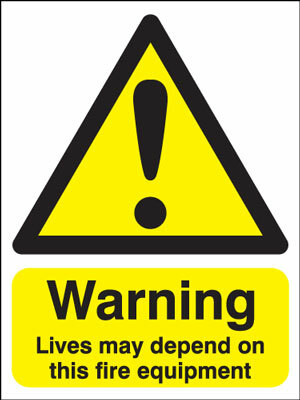 UK warning signs - 450 x 600 mm warning hazardous self adhesive vinyl labels. A2 warning hazardous 1.2 mm rigid plastic signs. 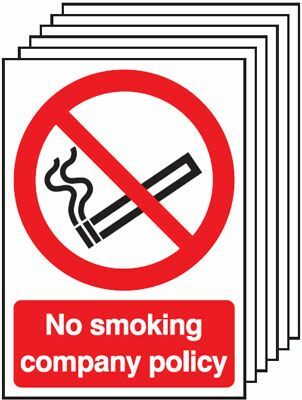 UK warning signs 450 x 600 mm warning hazardous 1.2 mm rigid plastic signs. 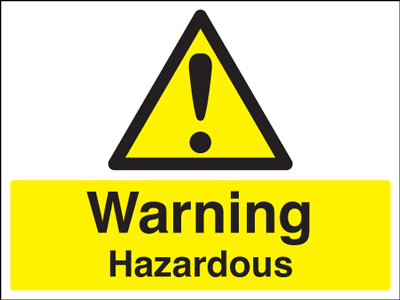 UK warning signs - 450 x 600 mm warning hazardous 1.2 mm rigid plastic signs. UK warning signs 50 x 100 mm warning very hot water self adhesive vinyl labels. UK warning signs - 50 x 100 mm warning very hot water self adhesive vinyl labels. 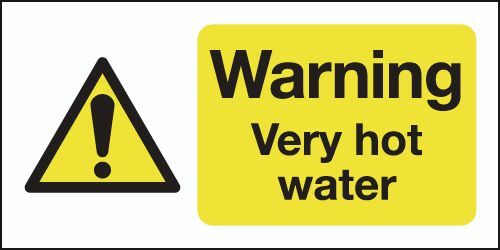 UK warning signs 50 x 100 mm warning very hot water 1.2 mm rigid plastic signs. 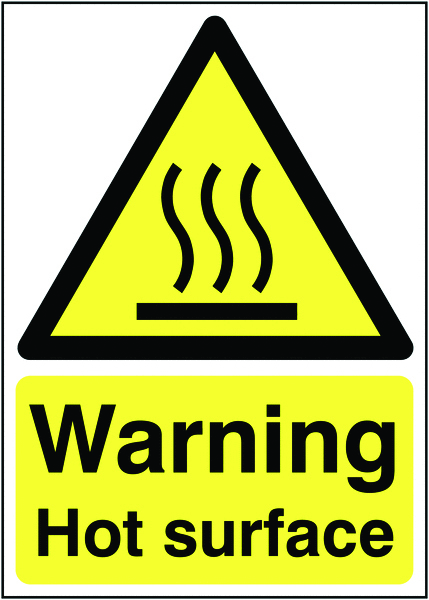 UK warning signs - 50 x 100 mm warning very hot water 1.2 mm rigid plastic signs. 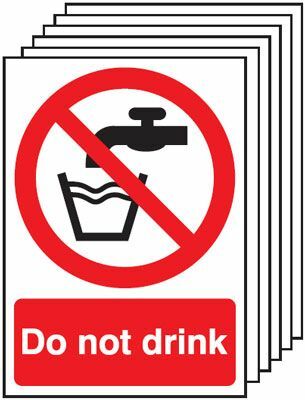 UK warning signs 100 x 250 mm warning very hot water self adhesive vinyl labels. UK warning signs - 100 x 250 mm warning very hot water self adhesive vinyl labels. 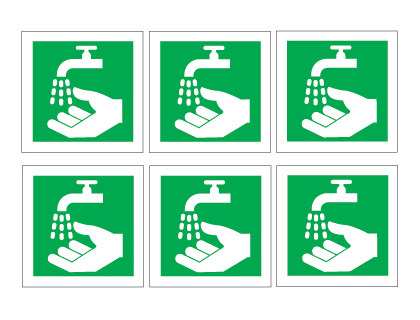 UK warning signs 100 x 250 mm warning very hot water 1.2 mm rigid plastic signs. 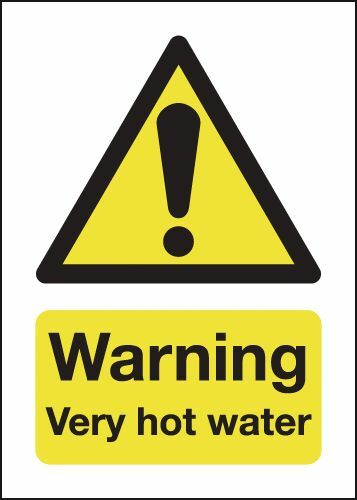 UK warning signs - 100 x 250 mm warning very hot water 1.2 mm rigid plastic signs. UK warning signs 400 x 300 mm warning stand clear of suspended self adhesive vinyl labels. UK warning signs - 400 x 300 mm warning stand clear of suspended self adhesive vinyl labels. 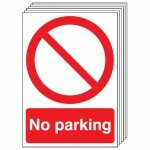 UK warning signs 400 x 300 mm warning stand clear of suspended 1.2 mm rigid plastic signs. 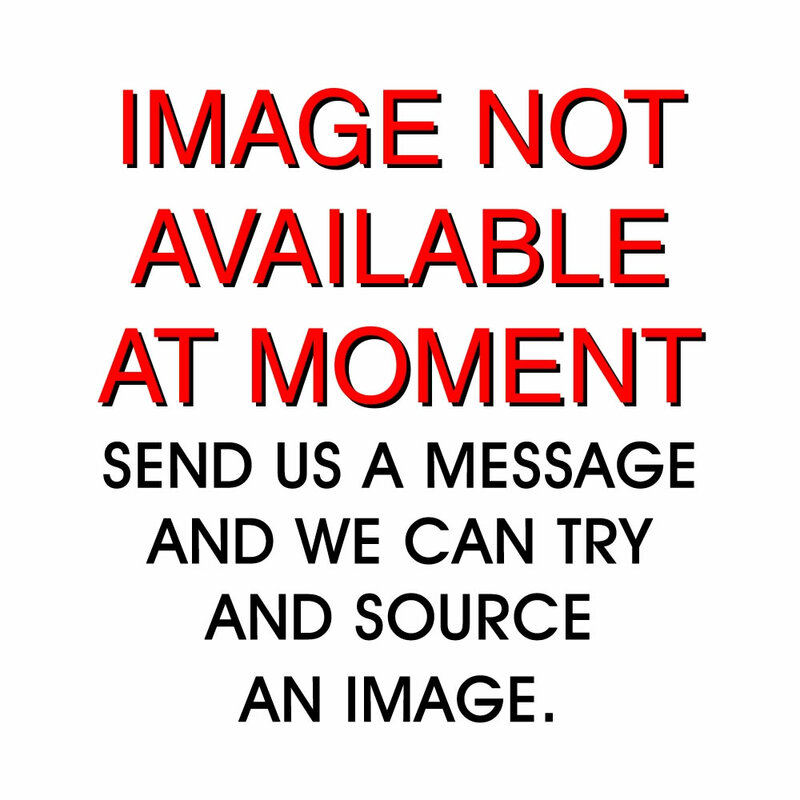 UK warning signs - 400 x 300 mm warning stand clear of suspended 1.2 mm rigid plastic signs. A5 ensure your laptop is locked away self adhesive vinyl labels. A5 ensure your laptop is stored securely self adhesive vinyl labels. A5 ensure your laptop is stored securely 1.2 mm rigid plastic signs. 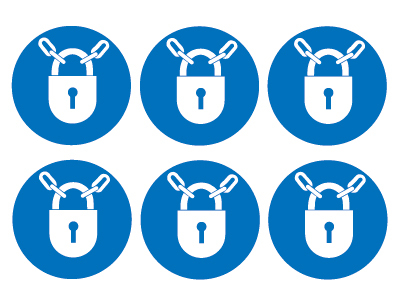 A5 ensure your laptop is locked away 1.2 mm rigid plastic signs. A4 ensure your laptop is locked away self adhesive vinyl labels. A4 ensure your laptop is stored securely self adhesive vinyl labels. A5 ensure your laptop is stored securely 1.2 mm rigid plastic signs with s/a backing. A5 ensure your laptop is stored securely 1.2 mm rigid plastic signs with self adhesive backing. A5 ensure your laptop is locked away 1.2 mm rigid plastic signs with s/a backing. A5 ensure your laptop is locked away 1.2 mm rigid plastic signs with self adhesive backing. A4 ensure your laptop is locked away 1.2 mm rigid plastic signs. A4 ensure your laptop is stored securely 1.2 mm rigid plastic signs. A4 ensure your laptop is stored securely 1.2 mm rigid plastic signs with s/a backing. 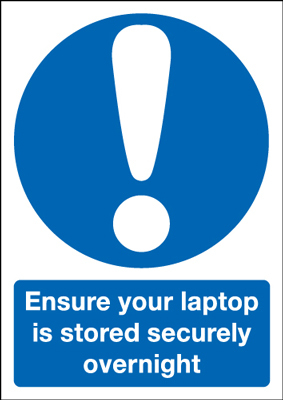 A4 ensure your laptop is stored securely 1.2 mm rigid plastic signs with self adhesive backing. A4 ensure your laptop is locked away 1.2 mm rigid plastic signs with s/a backing. A4 ensure your laptop is locked away 1.2 mm rigid plastic signs with self adhesive backing. UK warning signs 50 x 100 mm warning laser hazard self adhesive vinyl labels. UK warning signs - 50 x 100 mm warning laser hazard self adhesive vinyl labels. 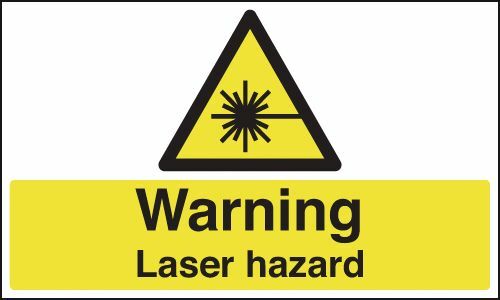 UK warning signs 50 x 100 mm warning laser hazard 1.2 mm rigid plastic signs. 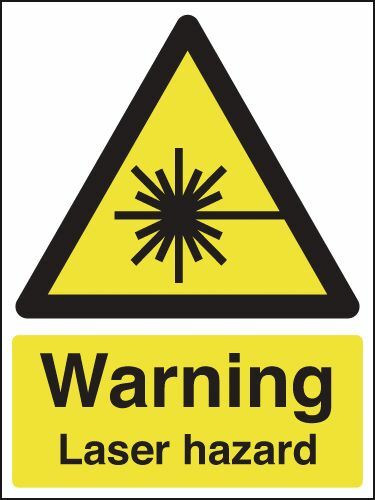 UK warning signs - 50 x 100 mm warning laser hazard 1.2 mm rigid plastic signs. 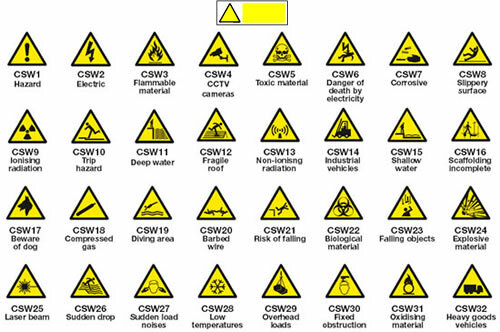 UK warning signs 100 x 250 mm warning laser hazard self adhesive vinyl labels. 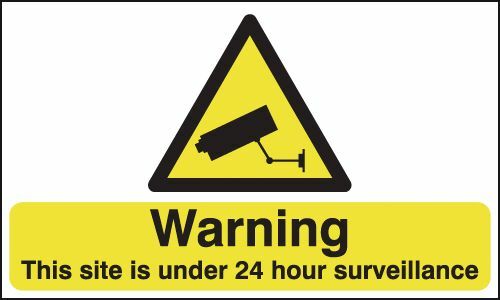 UK warning signs - 100 x 250 mm warning laser hazard self adhesive vinyl labels. 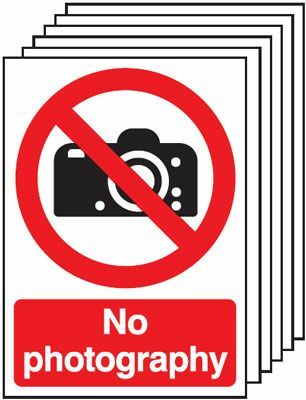 UK warning signs 100 x 250 mm warning laser hazard 1.2 mm rigid plastic signs. 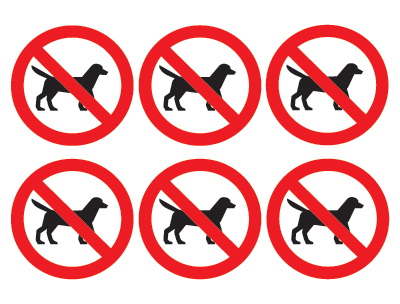 UK warning signs - 100 x 250 mm warning laser hazard 1.2 mm rigid plastic signs. 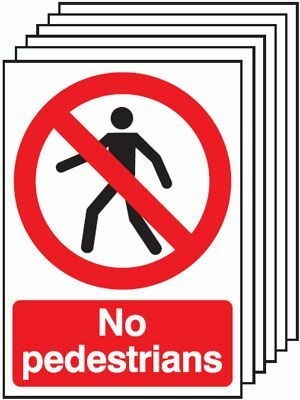 UK warning signs 50 x 100 mm warning laser hazard 1.2 mm rigid plastic signs with s/a backing. 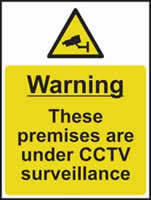 UK warning signs - 50 x 100 mm warning laser hazard 1.2 mm rigid plastic signs with self adhesive backing. UK warning signs 400 x 300 mm warning laser hazard self adhesive vinyl labels. UK warning signs - 400 x 300 mm warning laser hazard self adhesive vinyl labels. UK warning signs 300 x 500 mm warning laser hazard self adhesive vinyl labels. UK warning signs - 300 x 500 mm warning laser hazard self adhesive vinyl labels. 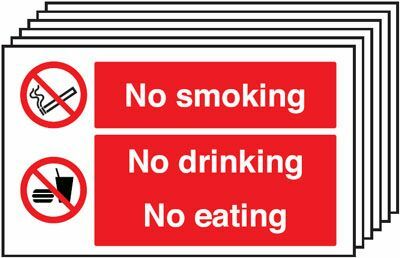 UK warning signs 300 x 500 mm warning laser hazard 1.2 mm rigid plastic signs. 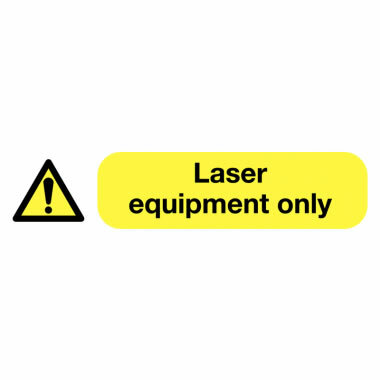 UK warning signs - 300 x 500 mm warning laser hazard 1.2 mm rigid plastic signs. 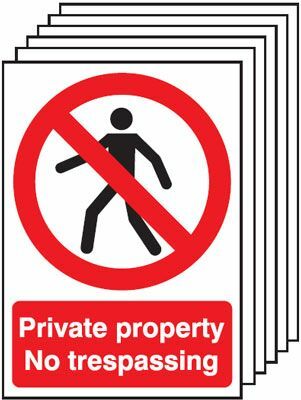 UK warning signs 400 x 300 mm warning laser hazard 1.2 mm rigid plastic signs. UK warning signs - 400 x 300 mm warning laser hazard 1.2 mm rigid plastic signs. 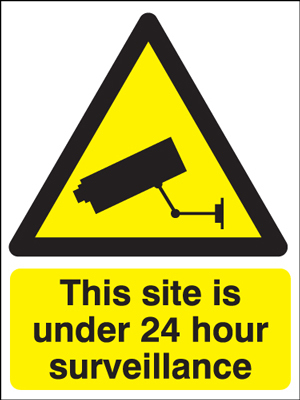 UK warning signs 100 x 250 mm warning laser hazard 1.2 mm rigid plastic signs with s/a backing. 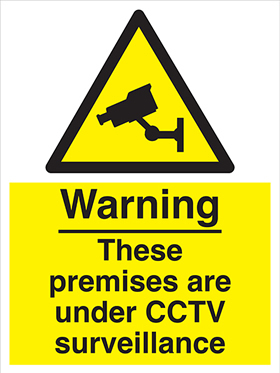 UK warning signs - 100 x 250 mm warning laser hazard 1.2 mm rigid plastic signs with self adhesive backing. 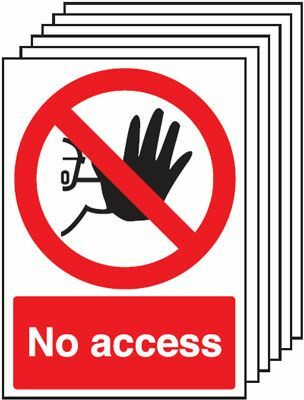 UK warning signs 400 x 300 mm warning laser hazard 1.2 mm rigid plastic signs with s/a backing. UK warning signs - 400 x 300 mm warning laser hazard 1.2 mm rigid plastic signs with self adhesive backing. 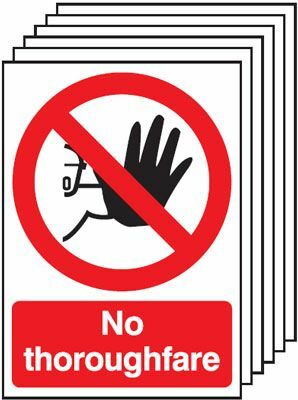 UK warning signs 300 x 500 mm warning laser hazard 1.2 mm rigid plastic signs with s/a backing. UK warning signs - 300 x 500 mm warning laser hazard 1.2 mm rigid plastic signs with self adhesive backing. 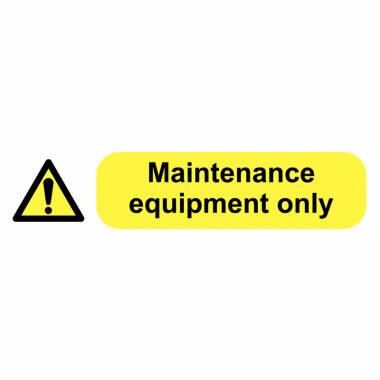 UK warning signs 150 x 300 mm warning lift machinery self adhesive vinyl labels. UK warning signs - 150 x 300 mm warning lift machinery self adhesive vinyl labels. 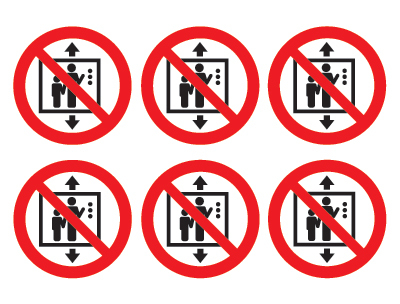 UK warning signs 150 x 300 mm warning lift machinery 1.2 mm rigid plastic signs. 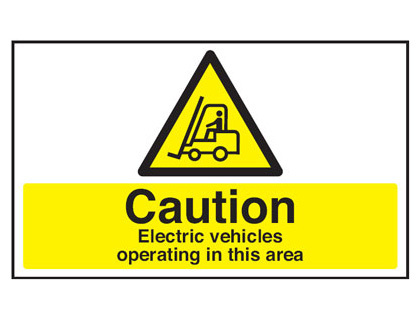 UK warning signs - 150 x 300 mm warning lift machinery 1.2 mm rigid plastic signs. 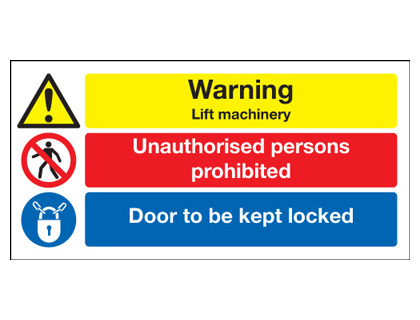 UK warning signs 300 x 500 mm warning lift machine access self adhesive vinyl labels. UK warning signs - 300 x 500 mm warning lift machine access self adhesive vinyl labels. 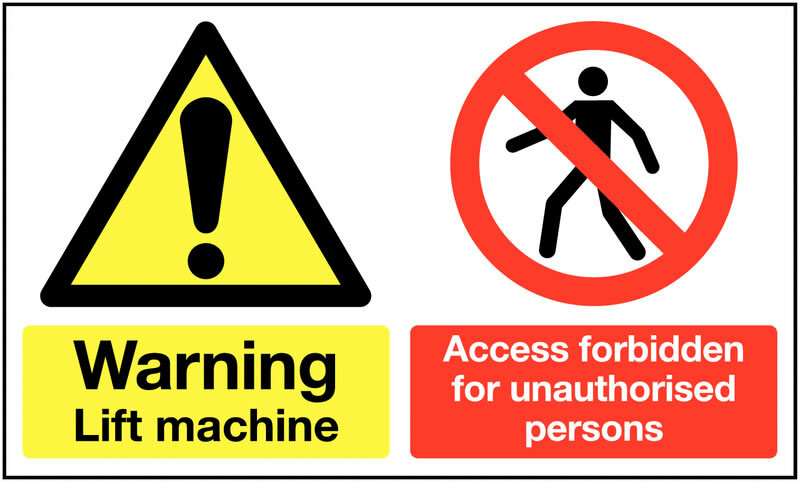 UK warning signs 300 x 500 mm warning lift machine access 1.2 mm rigid plastic signs. UK warning signs - 300 x 500 mm warning lift machine access 1.2 mm rigid plastic signs. UK warning signs 300 x 500 mm warning lift machine access 1.2 mm rigid plastic signs with s/a backing. UK warning signs - 300 x 500 mm warning lift machine access 1.2 mm rigid plastic signs with self adhesive backing. 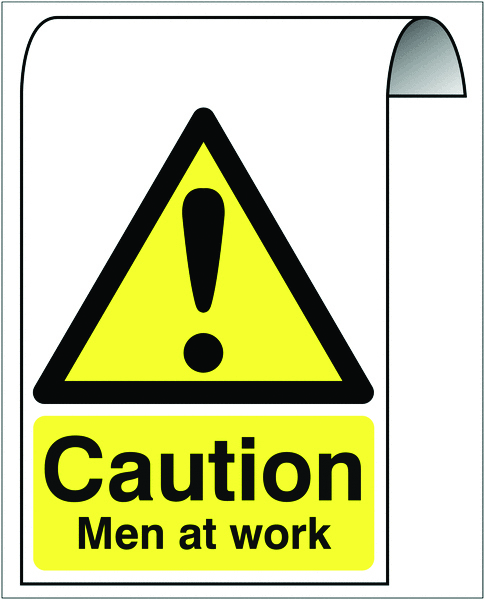 500 x 300 mm caution men at work 2 mm dibond brushed steel effect sign. 500 x 300 mm warning men working overhead 2 mm dibond brushed steel effect sign. UK warning signs 100 x 250 mm warning mind your head self adhesive vinyl labels. 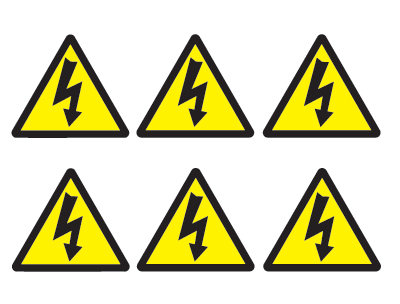 UK warning signs - 100 x 250 mm warning mIndustrial your head self adhesive vinyl labels. 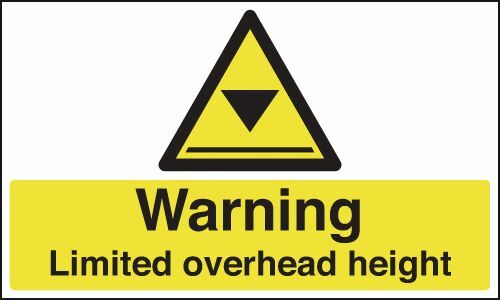 UK warning signs 100 x 250 mm warning mind your head 1.2 mm rigid plastic signs. UK warning signs - 100 x 250 mm warning mIndustrial your head 1.2 mm rigid plastic signs. UK warning signs 400 x 300 mm warning mind your head self adhesive vinyl labels. UK warning signs - 400 x 300 mm warning mIndustrial your head self adhesive vinyl labels. UK warning signs 400 x 300 mm warning reduced headroom self adhesive vinyl labels. UK warning signs - 400 x 300 mm warning reduced headroom self adhesive vinyl labels. UK warning signs 400 x 300 mm warning mind your head 1.2 mm rigid plastic signs. 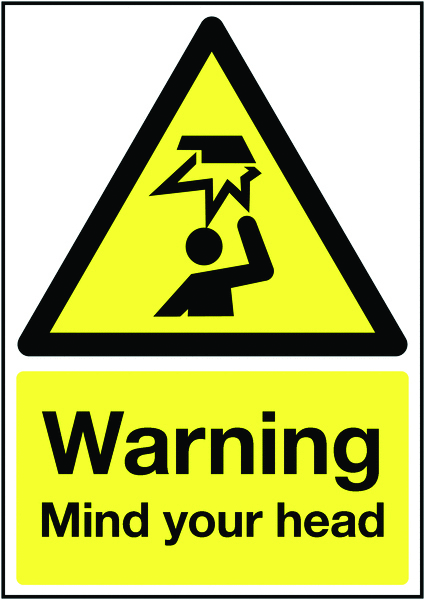 UK warning signs - 400 x 300 mm warning mIndustrial your head 1.2 mm rigid plastic signs. UK warning signs 400 x 300 mm warning reduced headroom 1.2 mm rigid plastic signs. 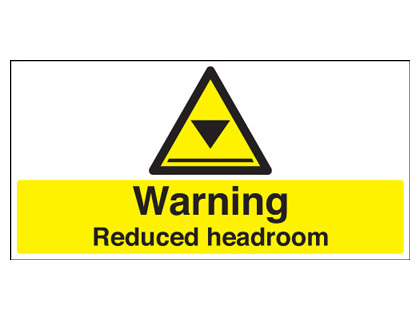 UK warning signs - 400 x 300 mm warning reduced headroom 1.2 mm rigid plastic signs. UK warning signs 100 x 250 mm warning mind your head 1.2 mm rigid plastic signs with s/a backing. UK warning signs - 100 x 250 mm warning mind your head 1.2 mm rigid plastic signs with self adhesive backing. 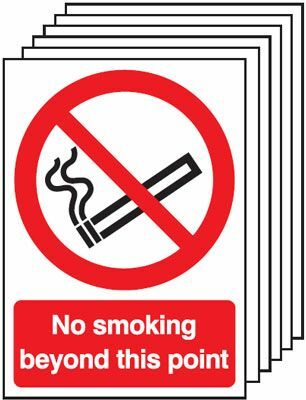 UK warning signs 400 x 300 mm warning mind your head 1.2 mm rigid plastic signs with s/a backing. UK warning signs - 400 x 300 mm warning mind your head 1.2 mm rigid plastic signs with self adhesive backing. UK warning signs 300 x 500 mm warning this is a multi hazard self adhesive vinyl labels. UK warning signs - 300 x 500 mm warning this is a multi hazard self adhesive vinyl labels. 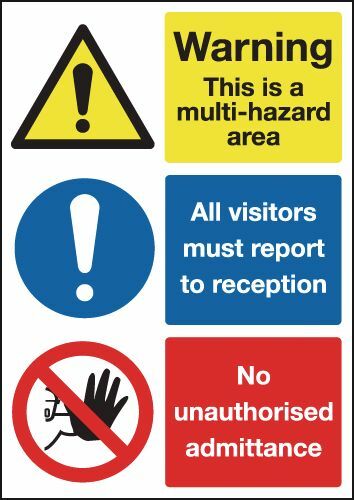 UK warning signs 300 x 500 mm warning this is a multi hazard 1.2 mm rigid plastic signs. UK warning signs - 300 x 500 mm warning this is a multi hazard 1.2 mm rigid plastic signs. UK warning signs 300 x 500 mm warning this is a multi hazard 1.2 mm rigid plastic signs with s/a backing. UK warning signs - 300 x 500 mm warning this is a multi hazard 1.2 mm rigid plastic signs with self adhesive backing. 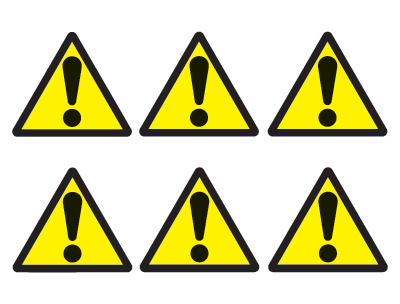 UK warning signs 150 x 125 mm warning noise level of 80 db(a) self adhesive vinyl labels. UK warning signs - 150 x 125 mm warning noise level of 80db(a) self adhesive vinyl labels. 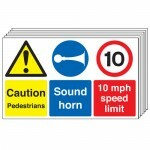 UK warning signs 150 x 125 mm warning noise level of 80 db(a) 1.2 mm rigid plastic signs. UK warning signs - 150 x 125 mm warning noise level of 80db(a) 1.2 mm rigid plastic signs. UK warning signs 400 x 300 mm warning noise level of 80 db(a) self adhesive vinyl labels. UK warning signs - 400 x 300 mm warning noise level of 80db(a) self adhesive vinyl labels. 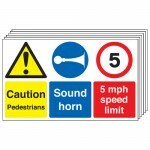 UK warning signs 150 x 125 mm warning noise level of 80 db(a) 1.2 mm rigid plastic signs with s/a backing. 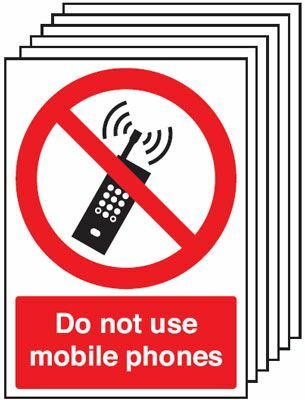 UK warning signs - 150 x 125 mm warning noise level of 80db(a) 1.2 mm rigid plastic signs with self adhesive backing. UK warning signs 300 x 500 mm warning noise level of 80 db(a) self adhesive vinyl labels. UK warning signs - 300 x 500 mm warning noise level of 80db(a) self adhesive vinyl labels. 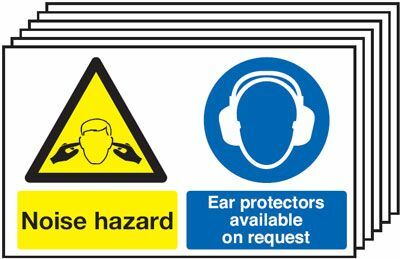 UK warning signs 400 x 300 mm warning noise level of 80 db(a) 1.2 mm rigid plastic signs. UK warning signs - 400 x 300 mm warning noise level of 80db(a) 1.2 mm rigid plastic signs. 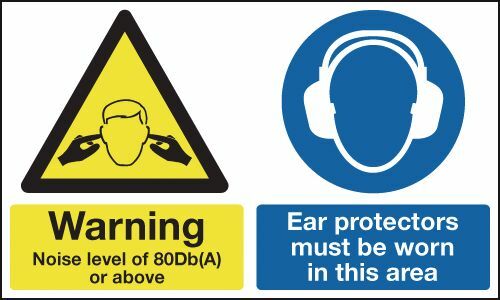 UK warning signs 300 x 500 mm warning noise level of 80 db(a) 1.2 mm rigid plastic signs. 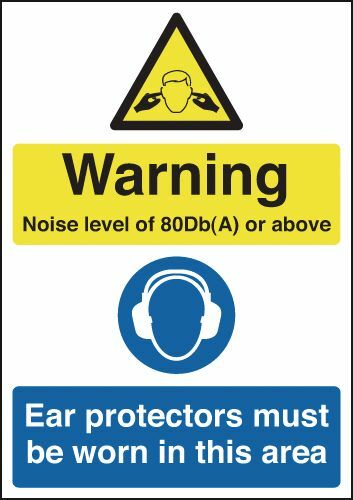 UK warning signs - 300 x 500 mm warning noise level of 80db(a) 1.2 mm rigid plastic signs. 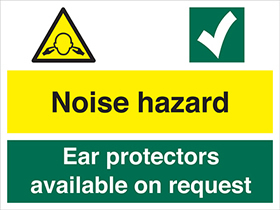 UK warning signs 400 x 300 mm warning noise level of 80 db(a) 1.2 mm rigid plastic signs with s/a backing. 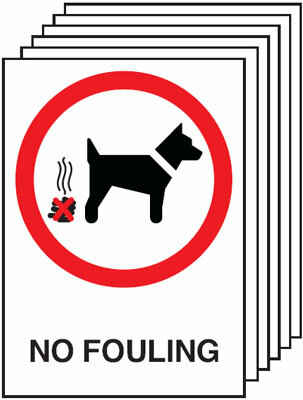 UK warning signs - 400 x 300 mm warning noise level of 80db(a) 1.2 mm rigid plastic signs with self adhesive backing. UK warning signs 300 x 500 mm warning noise level of 80 db(a) 1.2 mm rigid plastic signs with s/a backing. 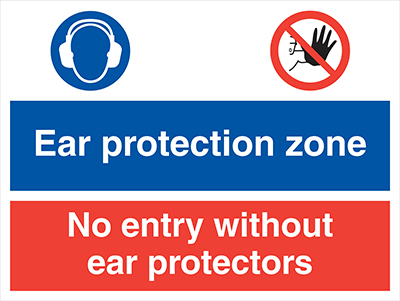 UK warning signs - 300 x 500 mm warning noise level of 80db(a) 1.2 mm rigid plastic signs with self adhesive backing. UK warning signs 450 x 600 mm warning open pit self adhesive vinyl labels. UK warning signs - 450 x 600 mm warning open pit self adhesive vinyl labels. UK warning signs 450 x 600 mm warning open pit 1.2 mm rigid plastic signs. 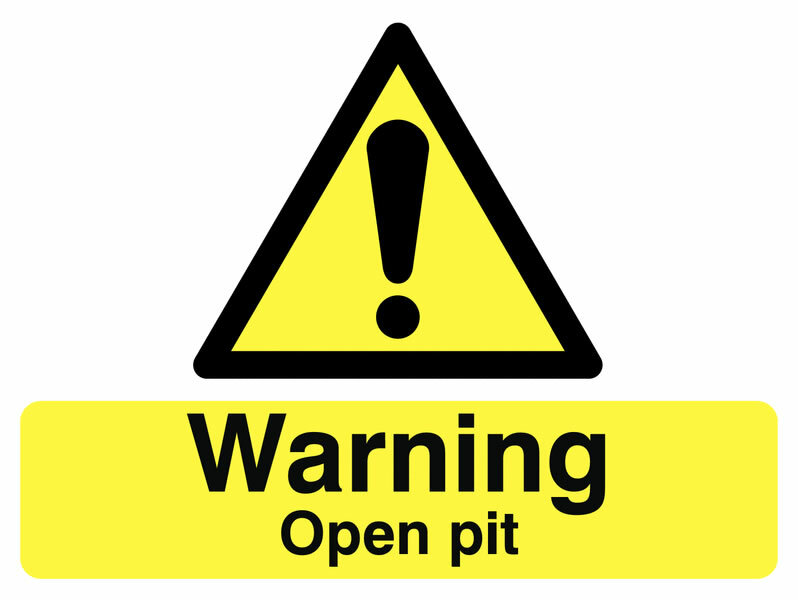 UK warning signs - 450 x 600 mm warning open pit 1.2 mm rigid plastic signs. 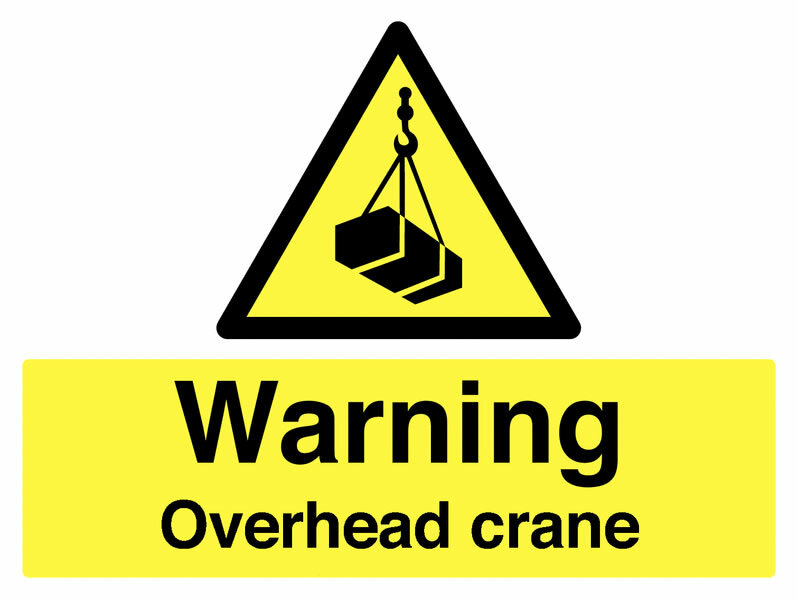 UK warning signs 400 x 300 mm warning overhead crane self adhesive vinyl labels. UK warning signs - 400 x 300 mm warning overhead crane self adhesive vinyl labels. 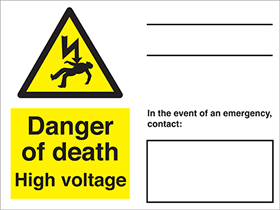 UK warning signs 400 x 300 mm warning overhead hazard self adhesive vinyl labels. 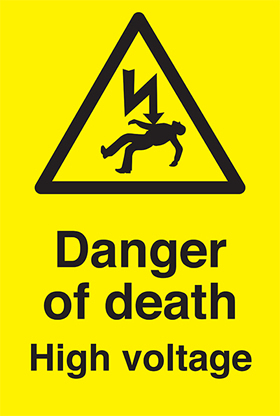 UK warning signs - 400 x 300 mm warning overhead hazard self adhesive vinyl labels. 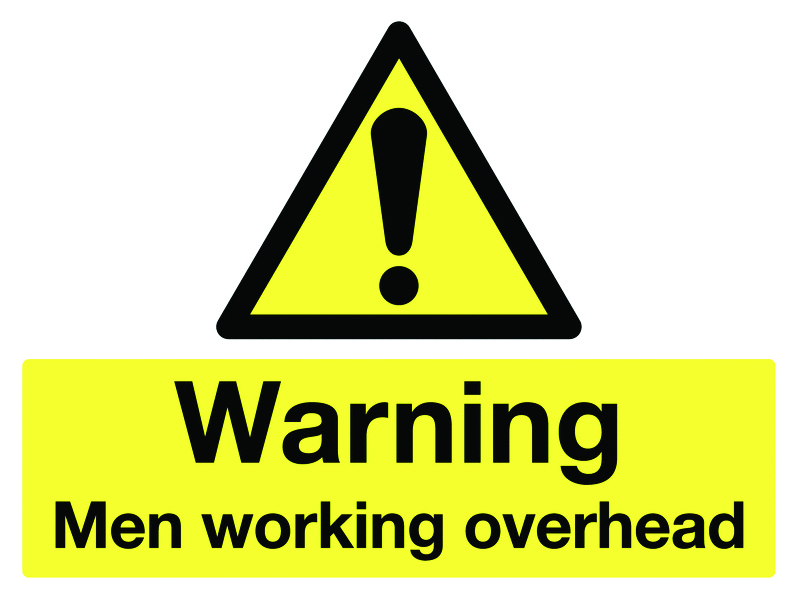 UK warning signs 400 x 300 mm warning men working overhead self adhesive vinyl labels. 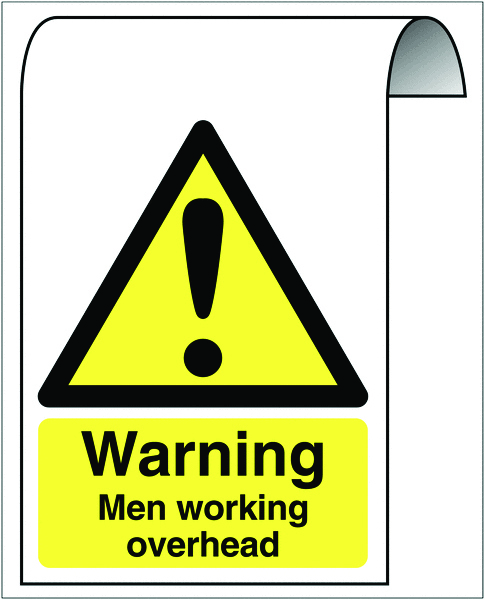 UK warning signs - 400 x 300 mm warning men working overhead self adhesive vinyl labels. UK warning signs 300 x 500 mm warning limited overhead height self adhesive vinyl labels. UK warning signs - 300 x 500 mm warning limited overhead height self adhesive vinyl labels. UK warning signs 400 x 300 mm warning overhead hazard 1.2 mm rigid plastic signs. 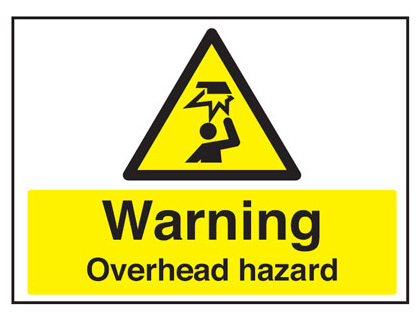 UK warning signs - 400 x 300 mm warning overhead hazard 1.2 mm rigid plastic signs. 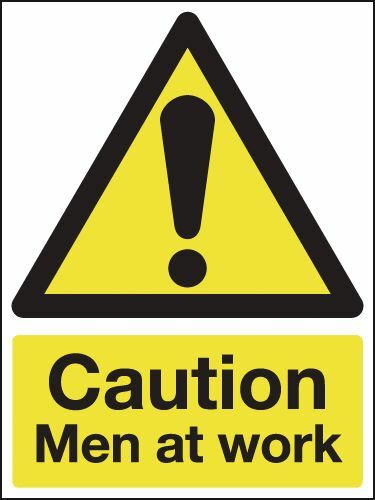 UK warning signs 400 x 300 mm warning men working overhead 1.2 mm rigid plastic signs. 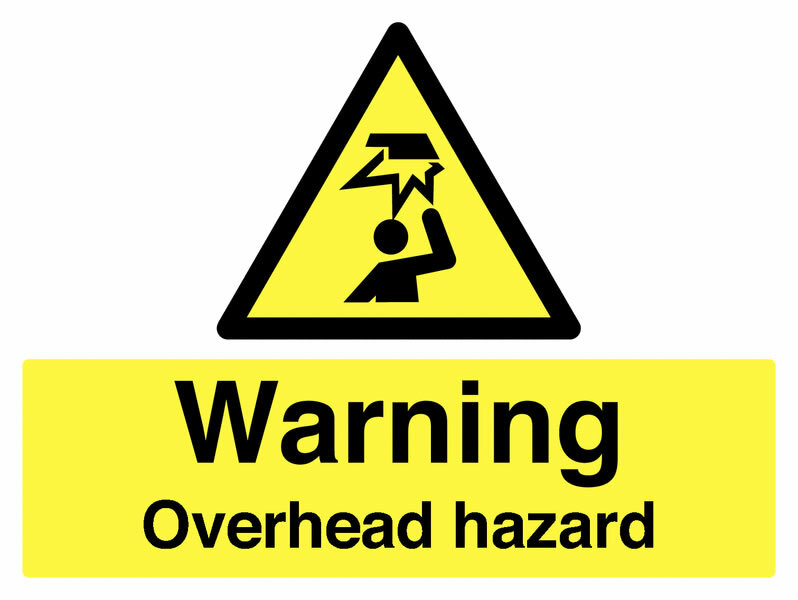 UK warning signs - 400 x 300 mm warning men working overhead 1.2 mm rigid plastic signs. UK warning signs 300 x 500 mm warning limited overhead height 1.2 mm rigid plastic signs. 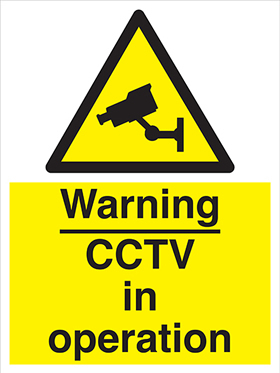 UK warning signs - 300 x 500 mm warning limited overhead height 1.2 mm rigid plastic signs. 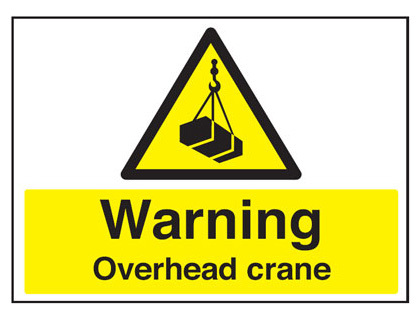 UK warning signs 400 x 300 mm warning overhead crane 1.2 mm rigid plastic signs. 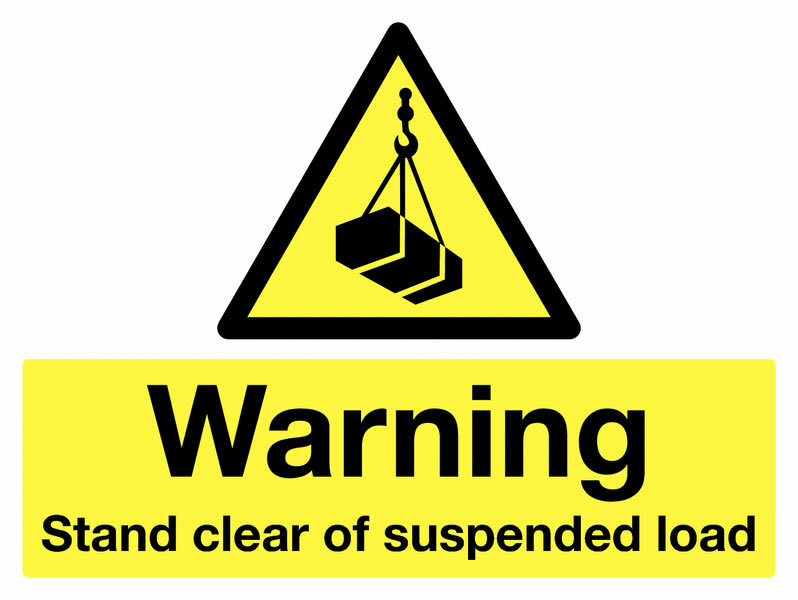 UK warning signs - 400 x 300 mm warning overhead crane 1.2 mm rigid plastic signs. 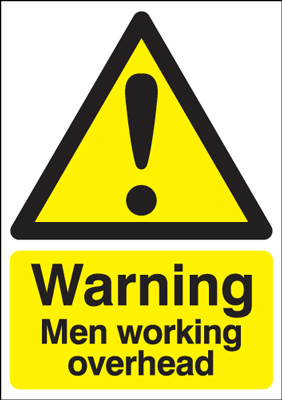 UK warning signs 450 x 600 mm warning men working overhead self adhesive vinyl labels. 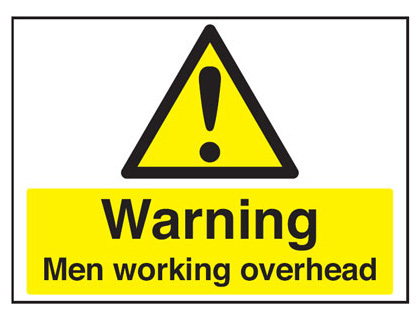 UK warning signs - 450 x 600 mm warning men working overhead self adhesive vinyl labels. 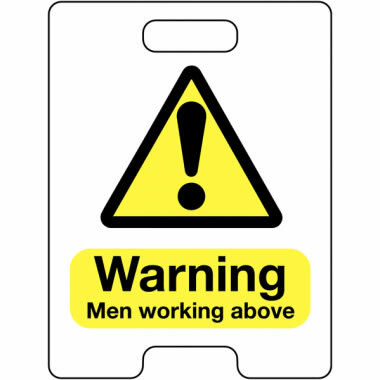 UK warning signs 450 x 600 mm warning men working overhead 1.2 mm rigid plastic signs. 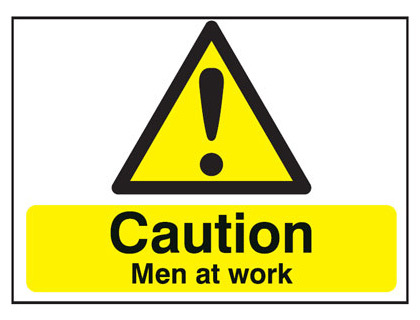 UK warning signs - 450 x 600 mm warning men working overhead 1.2 mm rigid plastic signs. 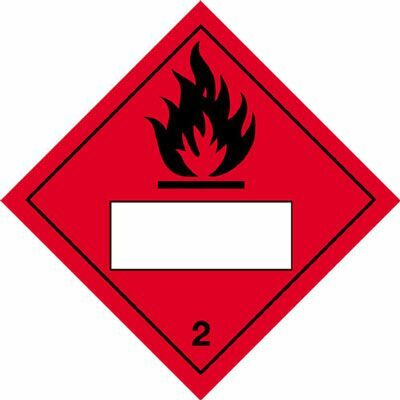 UK warning signs 400 x 300 mm warning oxidizing agent self adhesive vinyl labels. UK warning signs - 400 x 300 mm warning oxidizing agent self adhesive vinyl labels. UK warning signs 400 x 300 mm warning oxidizing agent 1.2 mm rigid plastic signs. UK warning signs - 400 x 300 mm warning oxidizing agent 1.2 mm rigid plastic signs. 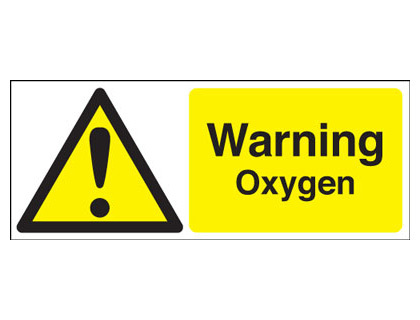 UK warning signs 100 x 250 mm warning oxygen self adhesive vinyl labels. 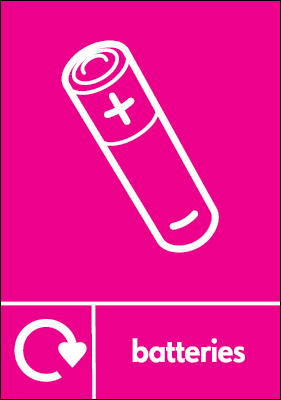 UK warning signs - 100 x 250 mm warning oxygen self adhesive vinyl labels. 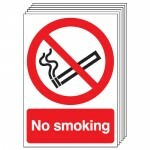 UK warning signs 100 x 250 mm warning oxygen 1.2 mm rigid plastic signs. 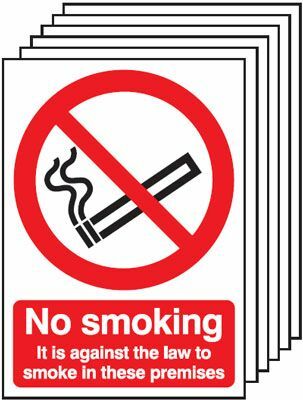 UK warning signs - 100 x 250 mm warning oxygen 1.2 mm rigid plastic signs. 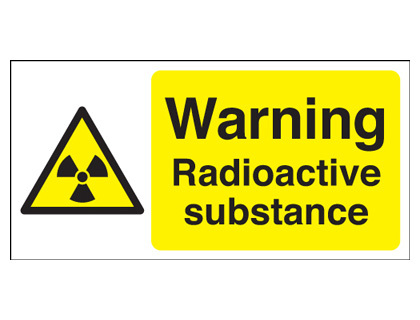 UK warning signs 100 x 200 mm warning radioactive substance self adhesive vinyl labels. 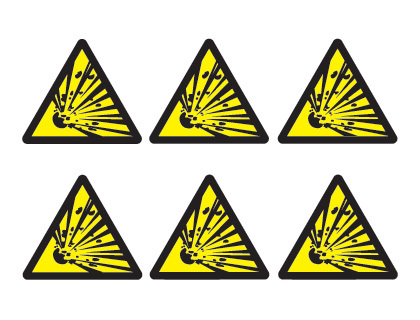 UK warning signs - 100 x 200 mm warning radioactive substance self adhesive vinyl labels. 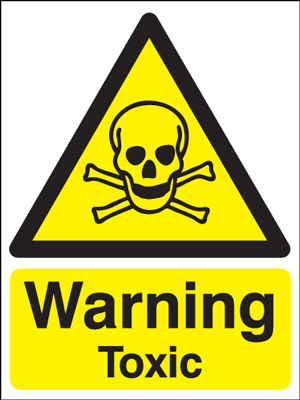 UK warning signs 100 x 200 mm warning radioactive substance 1.2 mm rigid plastic signs. 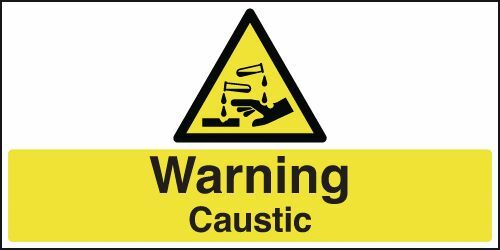 UK warning signs - 100 x 200 mm warning radioactive substance 1.2 mm rigid plastic signs. 50 x 100 mm warning harmful chemicals self adhesive vinyl labels. 100 x 200 mm warning radioactive substance self adhesive vinyl labels. 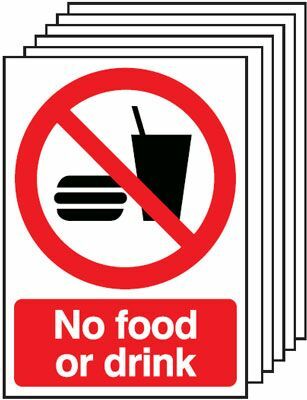 50 x 100 mm warning harmful chemicals 1.2 mm rigid plastic signs. A5 warning vehicles reversing self adhesive vinyl labels. A5 warning beware of moving vehicles self adhesive vinyl labels. 100 x 250 mm warning acid self adhesive vinyl labels. 100 x 250 mm warning chemical irritants self adhesive vinyl labels. 100 x 250 mm warning ammonia self adhesive vinyl labels. 100 x 250 mm warning biohazard self adhesive vinyl labels. 100 x 250 mm warning trip hazard self adhesive vinyl labels. 100 x 250 mm warning oxygen self adhesive vinyl labels. 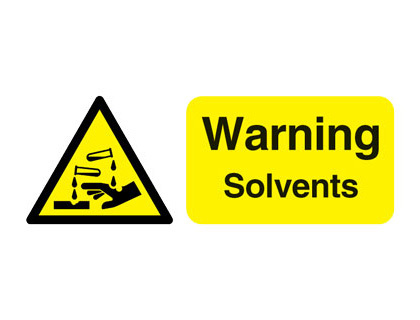 100 x 250 mm warning solvents self adhesive label. 100 x 250 mm warning harmful chemicals self adhesive vinyl labels. 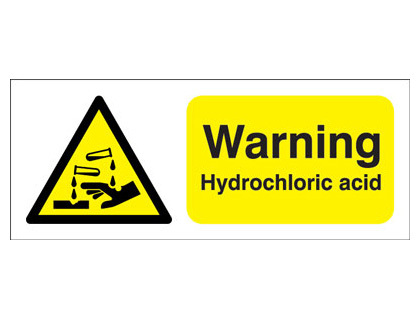 100 x 250 mm warning hydrochloric acid self adhesive label. 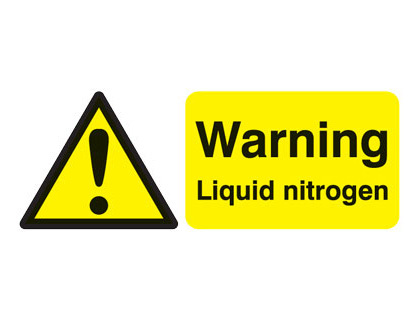 100 x 250 mm warning liquid nitrogen self adhesive label. 100 x 250 mm warning drop self adhesive vinyl labels. 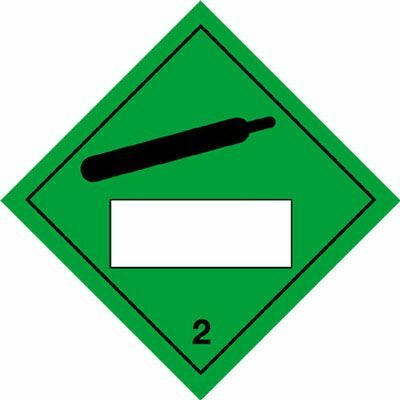 100 x 200 mm warning radioactive substance 1.2 mm rigid plastic signs. 150 x 300 mm warning hazardous self adhesive vinyl labels. A5 warning vehicles reversing 1.2 mm rigid plastic signs. A5 warning beware of moving vehicles 1.2 mm rigid plastic signs. 100 x 250 mm warning acid 1.2 mm rigid plastic signs. 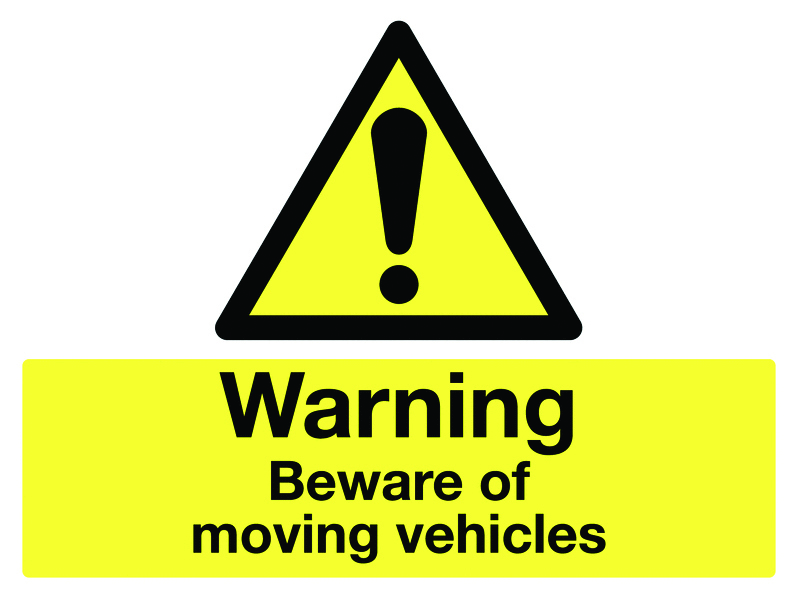 100 x 250 mm warning beware of moving vehicle 1.2 mm rigid plastic signs. 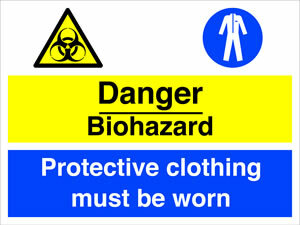 100 x 250 mm warning biohazard 1.2 mm rigid plastic signs. 100 x 250 mm warning ammonia 1.2 mm rigid plastic signs. 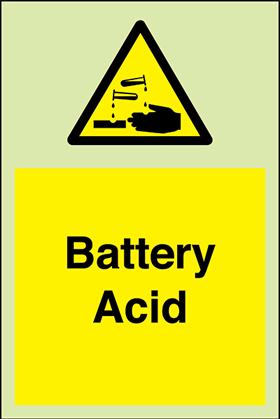 100 x 250 mm warning battery acid 1.2 mm rigid plastic signs. 100 x 250 mm warning chemical irritants 1.2 mm rigid plastic signs. 100 x 250 mm warning chlorine 1.2 mm rigid plastic signs. 100 x 250 mm warning trip hazard 1.2 mm rigid plastic signs. 100 x 250 mm warning oxygen 1.2 mm rigid plastic signs. 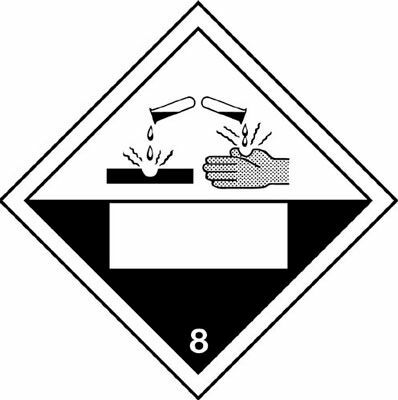 100 x 250 mm warning harmful chemicals 1.2 mm rigid plastic signs. 100 x 250 mm warning drop 1.2 mm rigid plastic signs. 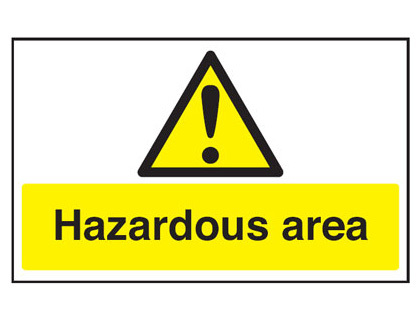 150 x 300 mm warning hazardous 1.2 mm rigid plastic signs. 400 x 300 mm warning stand clear of suspended self adhesive vinyl labels. 400 x 300 mm warning site entrance self adhesive vinyl labels. 400 x 300 mm warning site traffic self adhesive vinyl labels. 400 x 300 mm warning oxidizing agent self adhesive vinyl labels. 400 x 300 mm warning reduced headroom self adhesive vinyl labels. 400 x 300 mm warning overhead hazard self adhesive vinyl labels. 400 x 300 mm warning overhead crane self adhesive vinyl labels. 400 x 300 mm warning trip hazard self adhesive vinyl labels. 400 x 300 mm warning vehicles reversing self adhesive vinyl labels. 400 x 300 mm warning deep excavations self adhesive vinyl labels. 400 x 300 mm warning electric fence self adhesive vinyl labels. 400 x 300 mm warning drop self adhesive vinyl labels. 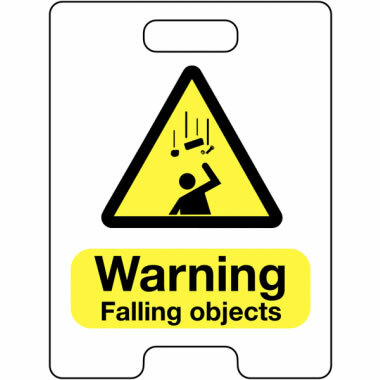 400 x 300 mm warning falling objects self adhesive vinyl labels. 400 x 300 mm warning hazardous self adhesive vinyl labels. 400 x 300 mm warning lorries self adhesive vinyl labels. 400 x 300 mm warning hydrochloric acid self adhesive vinyl labels. 400 x 300 mm warning men working overhead self adhesive vinyl labels. 400 x 300 mm warning construction site keep self adhesive vinyl labels. 400 x 300 mm warning acid self adhesive vinyl labels. 200 x 400 mm warning sudden drop 1.2 mm rigid plastic signs with s/a backing. 200 x 400 mm warning sudden drop 1.2 mm rigid plastic signs with self adhesive backing. A4 warning vehicles reversing self adhesive vinyl labels. A4 warning beware of moving vehicles self adhesive vinyl labels. 100 x 250 mm warning caustic 1.2 mm rigid plastic signs with s/a backing. 100 x 250 mm warning caustic 1.2 mm rigid plastic signs with self adhesive backing. 100 x 250 mm warning steep stairs 1.2 mm rigid plastic signs with s/a backing. 100 x 250 mm warning steep stairs 1.2 mm rigid plastic signs with self adhesive backing. 100 x 250 mm warning sudden drop 1.2 mm rigid plastic signs with s/a backing. 100 x 250 mm warning sudden drop 1.2 mm rigid plastic signs with self adhesive backing. 100 x 250 mm warning mind your head 1.2 mm rigid plastic signs with s/a backing. 100 x 250 mm warning mind your head 1.2 mm rigid plastic signs with self adhesive backing. 100 x 250 mm warning low temperature 1.2 mm rigid plastic signs with s/a backing. 100 x 250 mm warning low temperature 1.2 mm rigid plastic signs with self adhesive backing. 100 x 250 mm warning corrosive 1.2 mm rigid plastic signs with s/a backing. 100 x 250 mm warning corrosive 1.2 mm rigid plastic signs with self adhesive backing. 100 x 250 mm warning beware of step 1.2 mm rigid plastic signs with s/a backing. 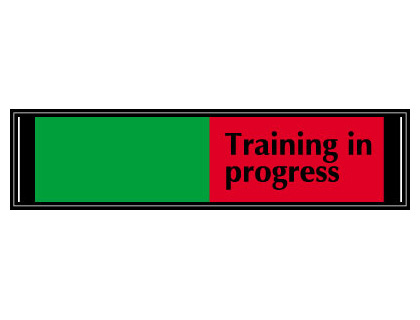 100 x 250 mm warning beware of step 1.2 mm rigid plastic signs with self adhesive backing. A3 warning vehicles reversing self adhesive vinyl labels. A3 warning beware of moving vehicles self adhesive vinyl labels. 300 x 500 mm warning limited overhead height self adhesive vinyl labels. A4 warning vehicles reversing 1.2 mm rigid plastic signs. A4 warning beware of moving vehicles 1.2 mm rigid plastic signs. 400 x 300 mm warning acid 1.2 mm rigid plastic signs. 400 x 300 mm warning construction site keep 1.2 mm rigid plastic signs. 400 x 300 mm warning vehicles reversing 1.2 mm rigid plastic signs. 400 x 300 mm warning trip hazard 1.2 mm rigid plastic signs. 400 x 300 mm warning overhead crane 1.2 mm rigid plastic signs. 400 x 300 mm warning overhead hazard 1.2 mm rigid plastic signs. 400 x 300 mm warning reduced headroom 1.2 mm rigid plastic signs. 400 x 300 mm warning oxidizing agent 1.2 mm rigid plastic signs. 400 x 300 mm warning site traffic 1.2 mm rigid plastic signs. 400 x 300 mm warning site entrance 1.2 mm rigid plastic signs. 400 x 300 mm warning stand clear of suspended 1.2 mm rigid plastic signs. 400 x 300 mm warning hazardous 1.2 mm rigid plastic signs. 400 x 300 mm warning hydrochloric acid 1.2 mm rigid plastic signs. 400 x 300 mm warning lorries 1.2 mm rigid plastic signs. 400 x 300 mm warning men working overhead 1.2 mm rigid plastic signs. 400 x 300 mm warning deep excavations 1.2 mm rigid plastic signs. 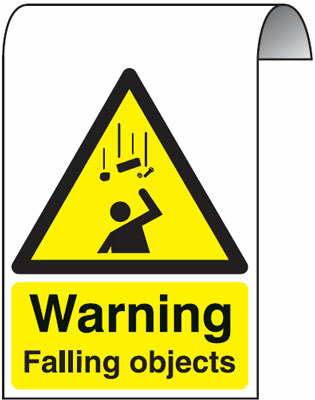 400 x 300 mm warning falling objects 1.2 mm rigid plastic signs. 400 x 300 mm warning drop 1.2 mm rigid plastic signs. 400 x 300 mm warning electric fence 1.2 mm rigid plastic signs. 300 x 500 mm warning limited overhead height 1.2 mm rigid plastic signs. A3 warning vehicles reversing 1.2 mm rigid plastic signs. A3 warning beware of moving vehicles 1.2 mm rigid plastic signs. 450 x 600 mm warning open pit self adhesive vinyl labels. 450 x 600 mm warning hazardous self adhesive vinyl labels. 450 x 600 mm warning men working overhead self adhesive vinyl labels. 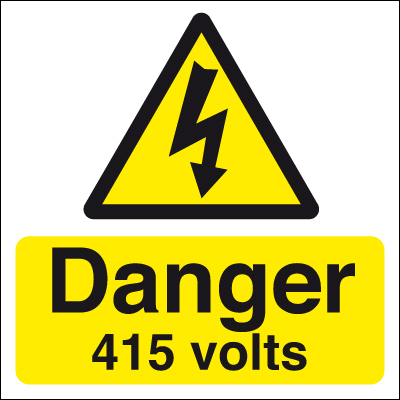 450 x 600 mm warning dangerous site children self adhesive vinyl labels. A2 warning confined space permit to work self adhesive vinyl labels. 400 x 300 mm warning caustic 1.2 mm rigid plastic signs with s/a backing. 400 x 300 mm warning caustic 1.2 mm rigid plastic signs with self adhesive backing. 400 x 300 mm warning corrosive 1.2 mm rigid plastic signs with s/a backing. 400 x 300 mm warning corrosive 1.2 mm rigid plastic signs with self adhesive backing. 400 x 300 mm warning fragile roof 1.2 mm rigid plastic signs with s/a backing. 400 x 300 mm warning fragile roof 1.2 mm rigid plastic signs with self adhesive backing. 400 x 300 mm warning mind your head 1.2 mm rigid plastic signs with s/a backing. 400 x 300 mm warning mind your head 1.2 mm rigid plastic signs with self adhesive backing. 400 x 300 mm warning sudden drop 1.2 mm rigid plastic signs with s/a backing. 400 x 300 mm warning sudden drop 1.2 mm rigid plastic signs with self adhesive backing. 400 x 300 mm warning steep stairs 1.2 mm rigid plastic signs with s/a backing. 400 x 300 mm warning steep stairs 1.2 mm rigid plastic signs with self adhesive backing. 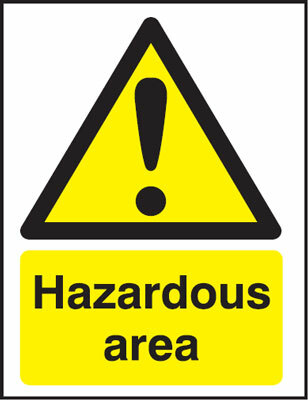 450 x 600 mm warning hazardous 1.2 mm rigid plastic signs. 450 x 600 mm warning men working overhead 1.2 mm rigid plastic signs. 450 x 600 mm warning open pit 1.2 mm rigid plastic signs. UK warning signs 50 x 100 mm warning steep stairs self adhesive vinyl labels. 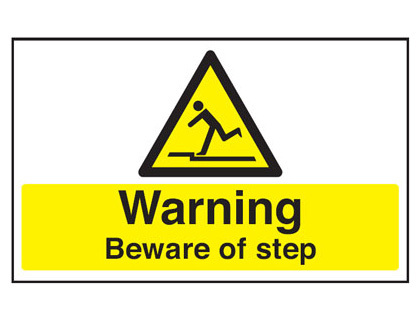 UK warning signs - 50 x 100 mm warning steep stairs self adhesive vinyl labels. 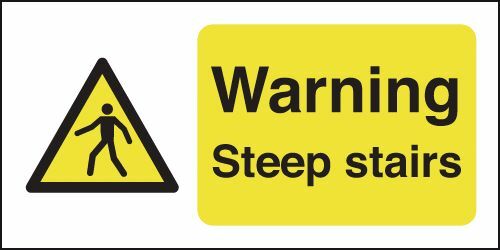 UK warning signs 50 x 100 mm warning steep stairs 1.2 mm rigid plastic signs. UK warning signs - 50 x 100 mm warning steep stairs 1.2 mm rigid plastic signs. UK warning signs 100 x 250 mm warning steep stairs self adhesive vinyl labels. 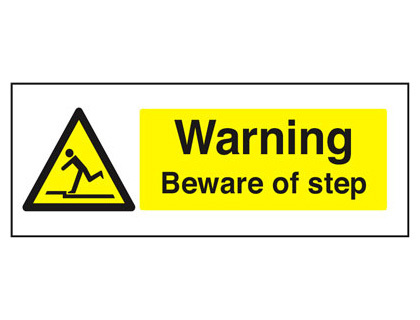 UK warning signs - 100 x 250 mm warning steep stairs self adhesive vinyl labels. UK warning signs 150 x 300 mm warning steep stairs self adhesive vinyl labels. UK warning signs - 150 x 300 mm warning steep stairs self adhesive vinyl labels. 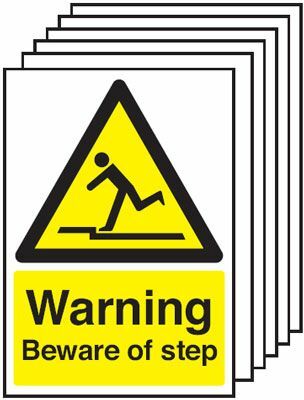 UK warning signs 100 x 250 mm warning steep stairs 1.2 mm rigid plastic signs. UK warning signs - 100 x 250 mm warning steep stairs 1.2 mm rigid plastic signs. 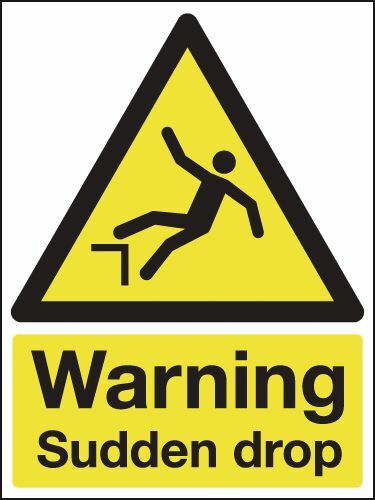 UK warning signs 300 x 250 mm warning steep stairs self adhesive vinyl labels. UK warning signs - 300 x 250 mm warning steep stairs self adhesive vinyl labels. UK warning signs 400 x 300 mm warning steep stairs self adhesive vinyl labels. UK warning signs - 400 x 300 mm warning steep stairs self adhesive vinyl labels. 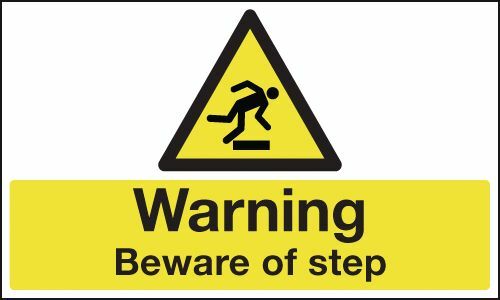 UK warning signs 150 x 300 mm warning steep stairs 1.2 mm rigid plastic signs. UK warning signs - 150 x 300 mm warning steep stairs 1.2 mm rigid plastic signs. 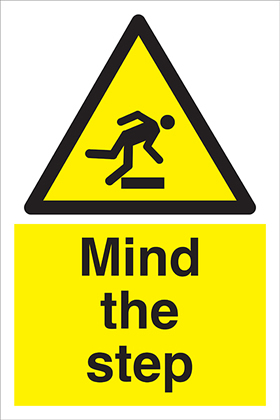 UK warning signs 50 x 100 mm warning steep stairs 1.2 mm rigid plastic signs with s/a backing. UK warning signs - 50 x 100 mm warning steep stairs 1.2 mm rigid plastic signs with self adhesive backing. 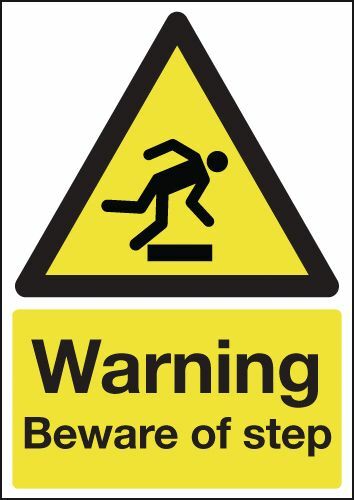 UK warning signs 300 x 250 mm warning steep stairs 1.2 mm rigid plastic signs. 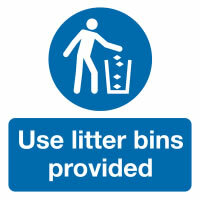 UK warning signs - 300 x 250 mm warning steep stairs 1.2 mm rigid plastic signs. 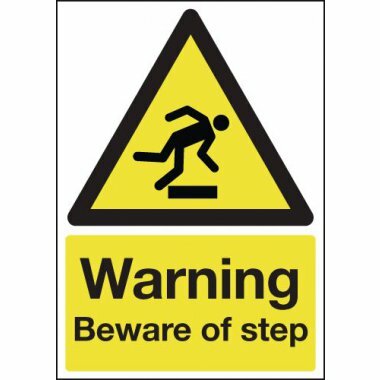 UK warning signs 400 x 300 mm warning steep stairs 1.2 mm rigid plastic signs. UK warning signs - 400 x 300 mm warning steep stairs 1.2 mm rigid plastic signs. 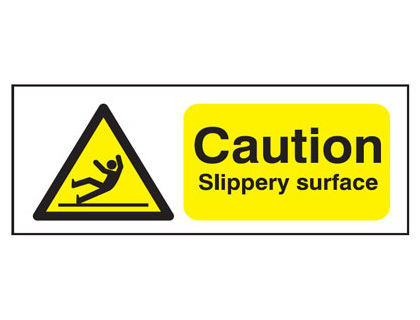 UK warning signs 100 x 250 mm warning steep stairs 1.2 mm rigid plastic signs with s/a backing. UK warning signs - 100 x 250 mm warning steep stairs 1.2 mm rigid plastic signs with self adhesive backing. 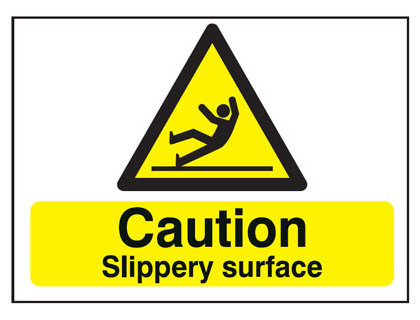 UK warning signs 150 x 300 mm warning steep stairs 1.2 mm rigid plastic signs with s/a backing. UK warning signs - 150 x 300 mm warning steep stairs 1.2 mm rigid plastic signs with self adhesive backing. 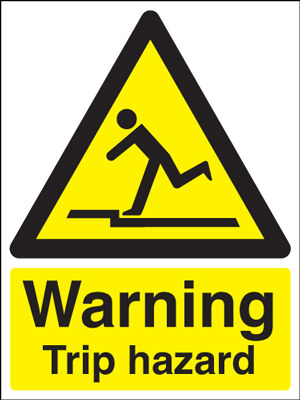 UK warning signs 300 x 250 mm warning steep stairs 1.2 mm rigid plastic signs with s/a backing. UK warning signs - 300 x 250 mm warning steep stairs 1.2 mm rigid plastic signs with self adhesive backing. 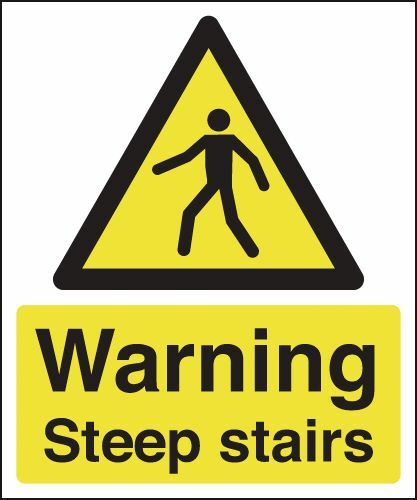 UK warning signs 400 x 300 mm warning steep stairs 1.2 mm rigid plastic signs with s/a backing. UK warning signs - 400 x 300 mm warning steep stairs 1.2 mm rigid plastic signs with self adhesive backing. UK warning signs 150 x 125 mm warning beware of step self adhesive vinyl labels. UK warning signs - 150 x 125 mm warning beware of step self adhesive vinyl labels. 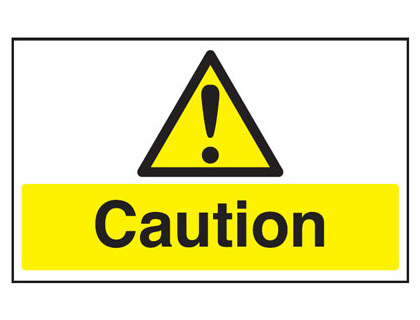 UK warning signs 175 x 125 mm warning beware of step self adhesive vinyl labels. UK warning signs - 175 x 125 mm warning beware of step self adhesive vinyl labels. UK warning signs 150 x 125 mm warning beware of step 1.2 mm rigid plastic signs. UK warning signs - 150 x 125 mm warning beware of step 1.2 mm rigid plastic signs. UK warning signs 175 x 125 mm warning beware of step 1.2 mm rigid plastic signs. UK warning signs - 175 x 125 mm warning beware of step 1.2 mm rigid plastic signs. UK warning signs 300 x 250 mm warning beware of step self adhesive vinyl labels. UK warning signs - 300 x 250 mm warning beware of step self adhesive vinyl labels. UK warning signs 400 x 300 mm warning beware of step self adhesive vinyl labels. UK warning signs - 400 x 300 mm warning beware of step self adhesive vinyl labels. UK warning signs 175 x 125 mm warning beware of step 1.2 mm rigid plastic signs with s/a backing. UK warning signs - 175 x 125 mm warning beware of step 1.2 mm rigid plastic signs with self adhesive backing. UK warning signs 150 x 125 mm warning beware of step 1.2 mm rigid plastic signs with s/a backing. UK warning signs - 150 x 125 mm warning beware of step 1.2 mm rigid plastic signs with self adhesive backing. UK warning signs 300 x 250 mm warning beware of step 1.2 mm rigid plastic signs. UK warning signs - 300 x 250 mm warning beware of step 1.2 mm rigid plastic signs. UK warning signs 400 x 300 mm warning beware of step 1.2 mm rigid plastic signs. UK warning signs - 400 x 300 mm warning beware of step 1.2 mm rigid plastic signs. UK warning signs 100 x 250 mm warning beware of step 1.2 mm rigid plastic signs with s/a backing. UK warning signs - 100 x 250 mm warning beware of step 1.2 mm rigid plastic signs with self adhesive backing. UK warning signs 600 x 450 mm warning beware of step self adhesive vinyl labels. 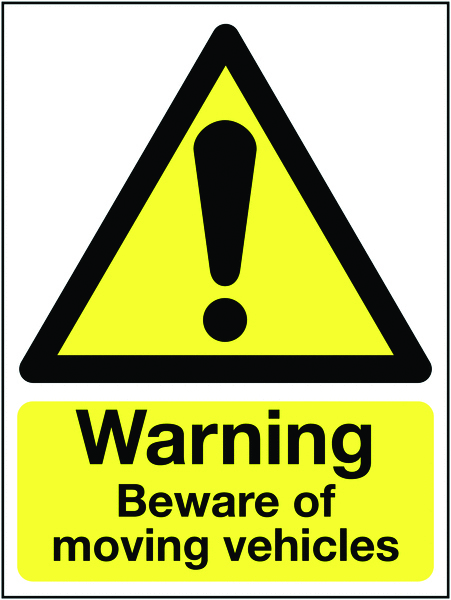 UK warning signs - 600 x 450 mm warning beware of step self adhesive vinyl labels. UK warning signs 300 x 250 mm warning beware of step 1.2 mm rigid plastic signs with s/a backing. UK warning signs - 300 x 250 mm warning beware of step 1.2 mm rigid plastic signs with self adhesive backing. UK warning signs 600 x 450 mm warning beware of step 1.2 mm rigid plastic signs. UK warning signs - 600 x 450 mm warning beware of step 1.2 mm rigid plastic signs. UK warning signs 400 x 300 mm warning beware of step 1.2 mm rigid plastic signs with s/a backing. UK warning signs - 400 x 300 mm warning beware of step 1.2 mm rigid plastic signs with self adhesive backing. UK warning signs 100 x 250 mm warning low temperature self adhesive vinyl labels. 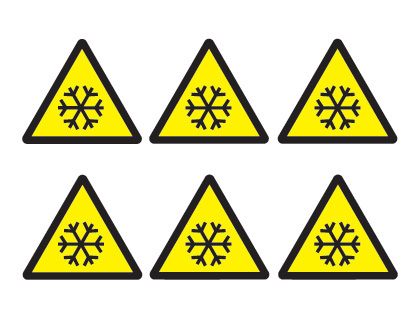 UK warning signs - 100 x 250 mm warning low temperature self adhesive vinyl labels. UK warning signs 150 x 125 mm warning low temperature self adhesive vinyl labels. 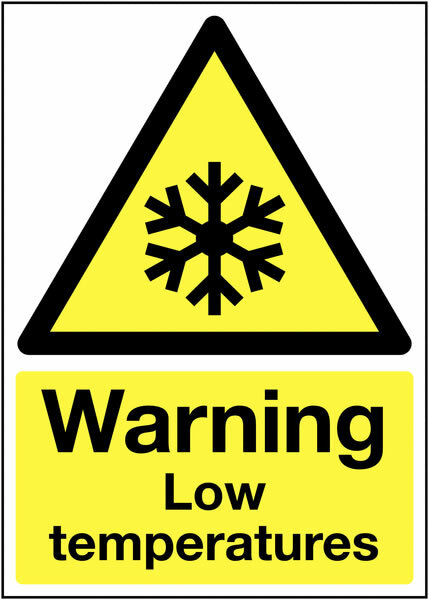 UK warning signs - 150 x 125 mm warning low temperature self adhesive vinyl labels. 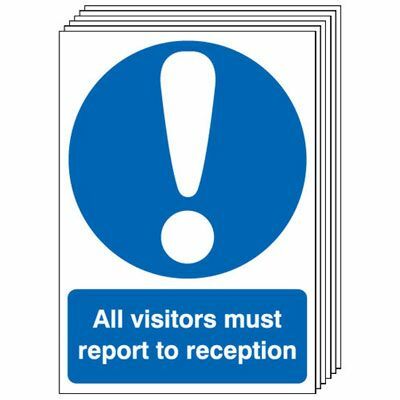 UK warning signs 150 x 125 mm warning low temperature 1.2 mm rigid plastic signs. 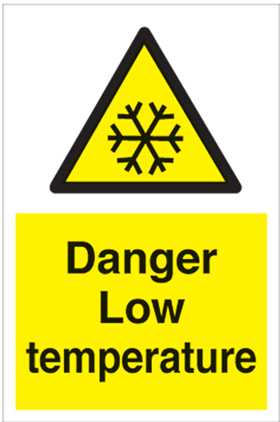 UK warning signs - 150 x 125 mm warning low temperature 1.2 mm rigid plastic signs. 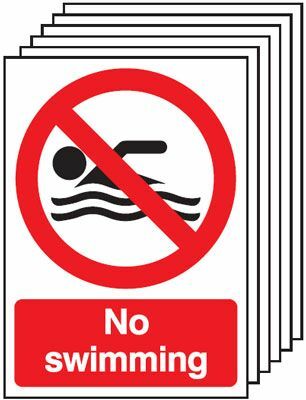 UK warning signs 100 x 250 mm warning low temperature 1.2 mm rigid plastic signs. UK warning signs - 100 x 250 mm warning low temperature 1.2 mm rigid plastic signs. 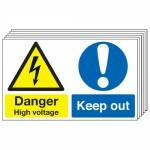 UK warning signs 150 x 125 mm warning low temperature 1.2 mm rigid plastic signs with s/a backing. 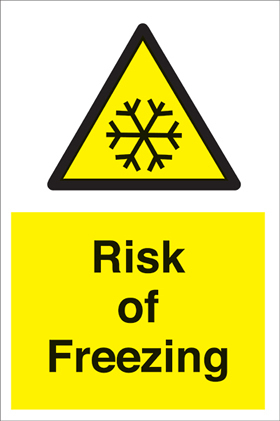 UK warning signs - 150 x 125 mm warning low temperature 1.2 mm rigid plastic signs with self adhesive backing. 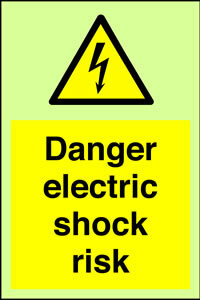 UK warning signs 100 x 250 mm warning low temperature 1.2 mm rigid plastic signs with s/a backing. UK warning signs - 100 x 250 mm warning low temperature 1.2 mm rigid plastic signs with self adhesive backing. UK warning signs 100 x 250 mm warning toxic self adhesive vinyl labels. UK warning signs - 100 x 250 mm warning toxic self adhesive vinyl labels. UK warning signs 100 x 250 mm warning toxic 1.2 mm rigid plastic signs. UK warning signs - 100 x 250 mm warning toxic 1.2 mm rigid plastic signs. 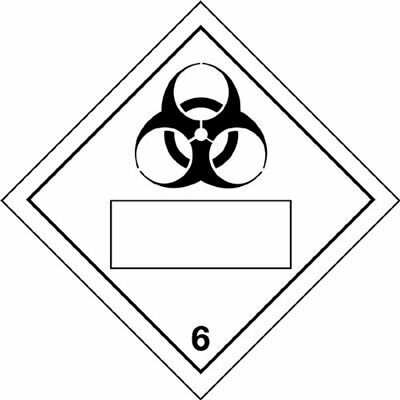 UK warning signs 400 x 300 mm warning toxic self adhesive vinyl labels. UK warning signs - 400 x 300 mm warning toxic self adhesive vinyl labels. UK warning signs 400 x 300 mm warning toxic 1.2 mm rigid plastic signs. UK warning signs - 400 x 300 mm warning toxic 1.2 mm rigid plastic signs. 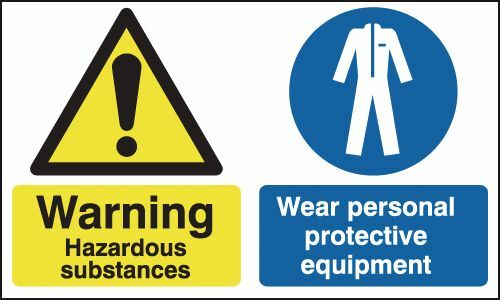 UK warning signs 100 x 250 mm warning trip hazard self adhesive vinyl labels. 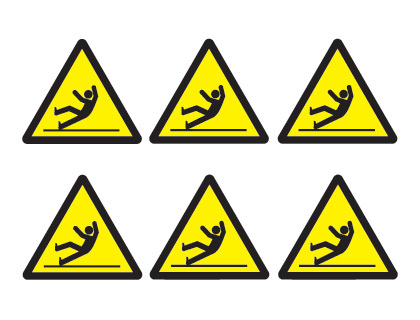 UK warning signs - 100 x 250 mm warning trip hazard self adhesive vinyl labels. 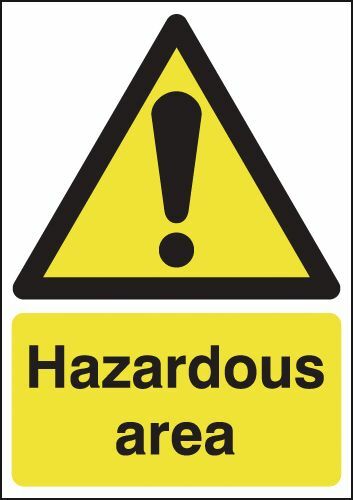 UK warning signs 100 x 250 mm warning trip hazard 1.2 mm rigid plastic signs. 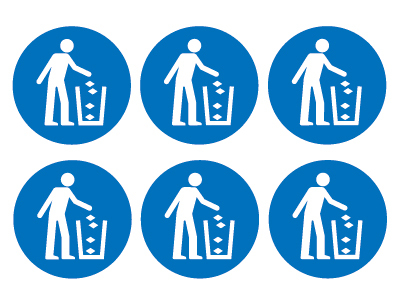 UK warning signs - 100 x 250 mm warning trip hazard 1.2 mm rigid plastic signs. UK warning signs 400 x 300 mm warning trip hazard self adhesive vinyl labels. UK warning signs - 400 x 300 mm warning trip hazard self adhesive vinyl labels. 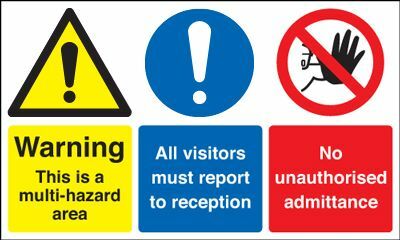 UK warning signs 400 x 300 mm warning trip hazard 1.2 mm rigid plastic signs. 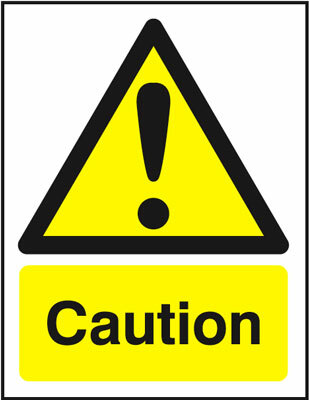 UK warning signs - 400 x 300 mm warning trip hazard 1.2 mm rigid plastic signs. 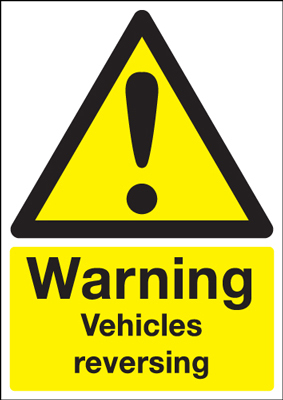 UK warning signs 400 x 300 mm warning vehicles reversing self adhesive vinyl labels. UK warning signs - 400 x 300 mm warning vehicles reversing self adhesive vinyl labels. UK warning signs 400 x 300 mm warning lorries self adhesive vinyl labels. 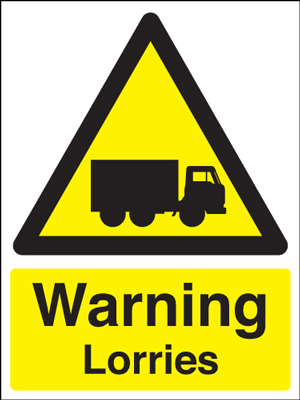 UK warning signs - 400 x 300 mm warning lorries self adhesive vinyl labels. 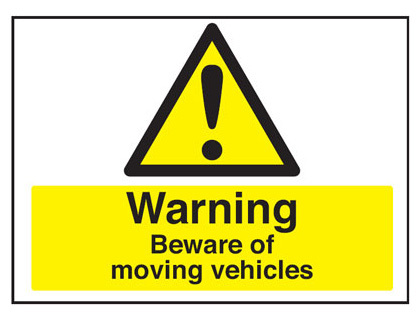 UK warning signs 400 x 300 mm warning beware of moving vehicle self adhesive vinyl labels. UK warning signs - 400 x 300 mm warning beware of moving vehicle self adhesive vinyl labels. UK warning signs 400 x 300 mm warning lorries 1.2 mm rigid plastic signs. UK warning signs - 400 x 300 mm warning lorries 1.2 mm rigid plastic signs. UK warning signs 400 x 300 mm warning vehicles reversing 1.2 mm rigid plastic signs. 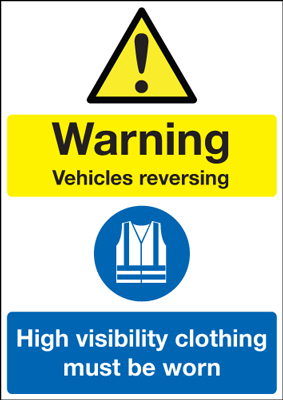 UK warning signs - 400 x 300 mm warning vehicles reversing 1.2 mm rigid plastic signs. 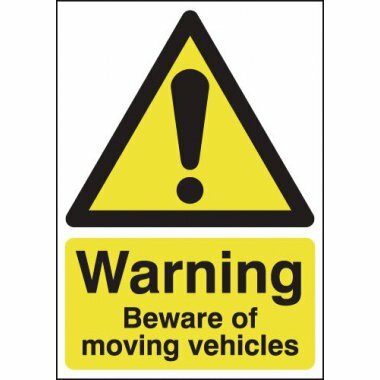 UK warning signs 400 x 300 mm warning beware of moving vehicle 1.2 mm rigid plastic signs. UK warning signs - 400 x 300 mm warning beware of moving vehicle 1.2 mm rigid plastic signs. A2 warning vehicles reversing high self adhesive vinyl labels. 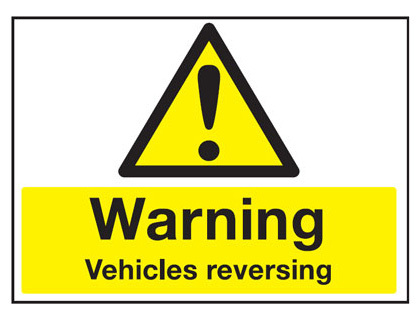 A2 warning vehicles reversing high 1.2 mm rigid plastic signs.